Lenovo and gaming? Does that match at all? The manufacturer, mainly known for its office laptops, now also wants to make a name for itself in the gaming sector. 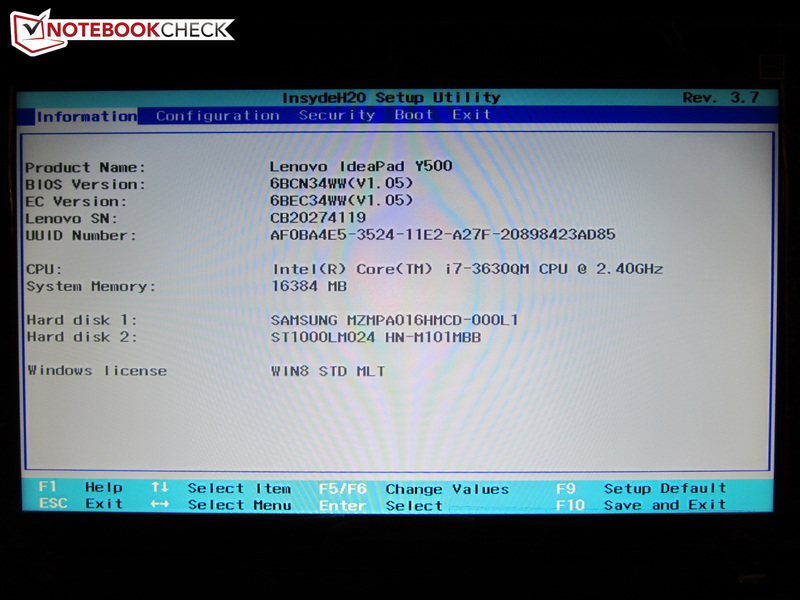 The IdeaPad Y500 is not just a copy of the devices from MSI, Asus or Samsung, but a unique product that in many ways treads new, or at least different paths. For example, the UltraBay mentioned in the introduction is unique. 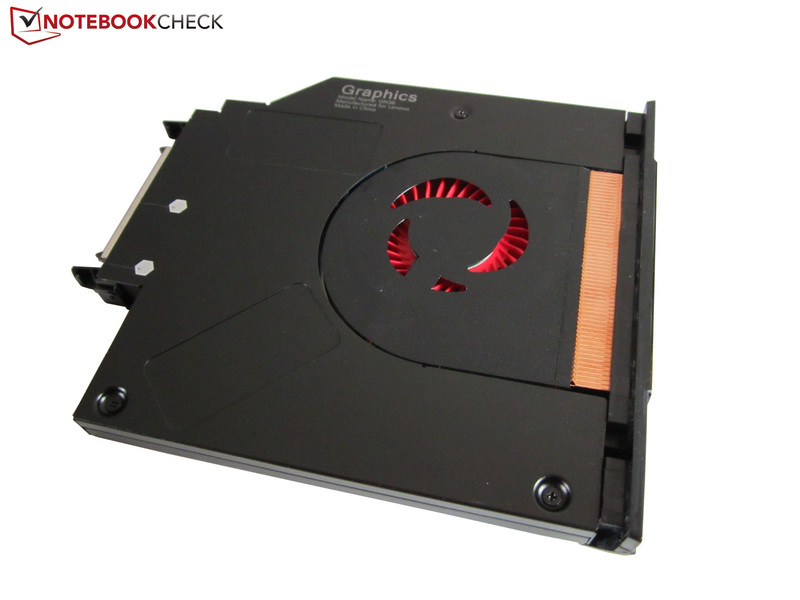 In simple words, it is a special drive compartment that can optionally harbor a second graphics card. System fan modules (better cooling for 20 Euros/~$27), a hard disk module (750 GB HDD for 90 Euros/~$121) and a DVD/CD burner module (70 Euros/~$94) are also offered in Lenovo's German shop. Lenovo relies on a well-tried DirectX 11 accelerator from Nvidia for the GPU. 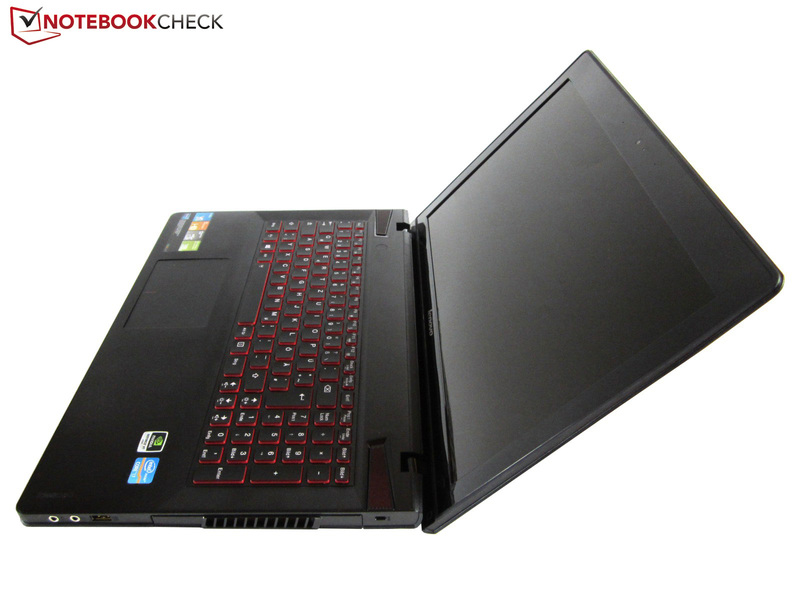 While the 15-incher places itself in the midrange with a single GeForce GT 650M, the laptop is propelled into the high-end range when using an SLI configuration. The other components can also compete with the contenders. The model we tested is dubbed MBG3DGE and sports 16 GB of DDR3 RAM (1600 MHz), a 1000 GB, 5400 rpm HDD and a small 16 GB mSATA SSD, which serves as a cache and cannot be used directly. 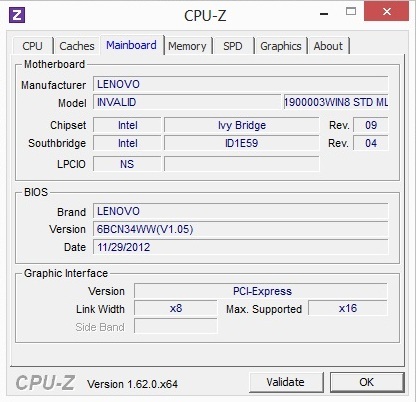 Intel's popular Core i7-3630QM takes care of CPU calculations. 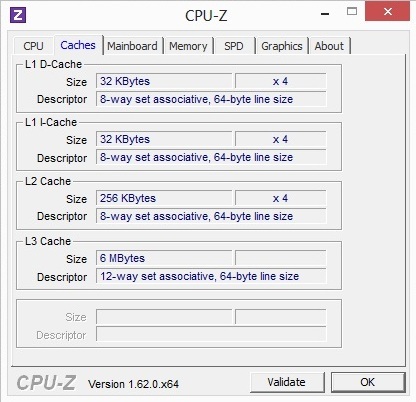 Its four cores can clock with 2.4 to 3.4 GHz in load. The glossy-type LED screen unsurprisingly has a resolution of 1920x1080 pixels. This bundle's price: 1100 Euros (~$1481). Buyers who do not want to spend more than 1000 Euros (~$1346) could opt for the MBG2JGE. The 100 Euros (~$135) cheaper family member sports a single GPU and a still fully sufficient eight GB of DDR3 RAM. The processor, screen and hard disk capacity are identical. Both laptops have Windows 8 64-bit in common. 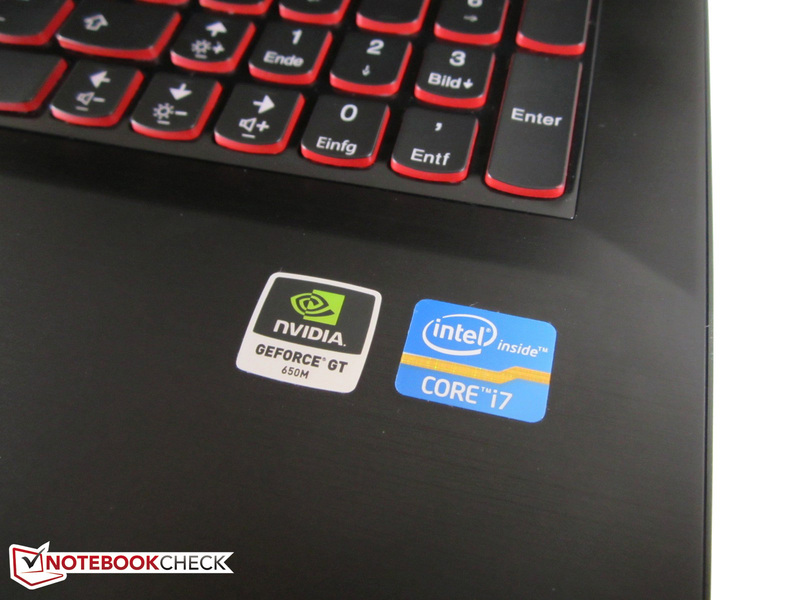 Can the 15-incher attain a place among the premium gaming laptops? 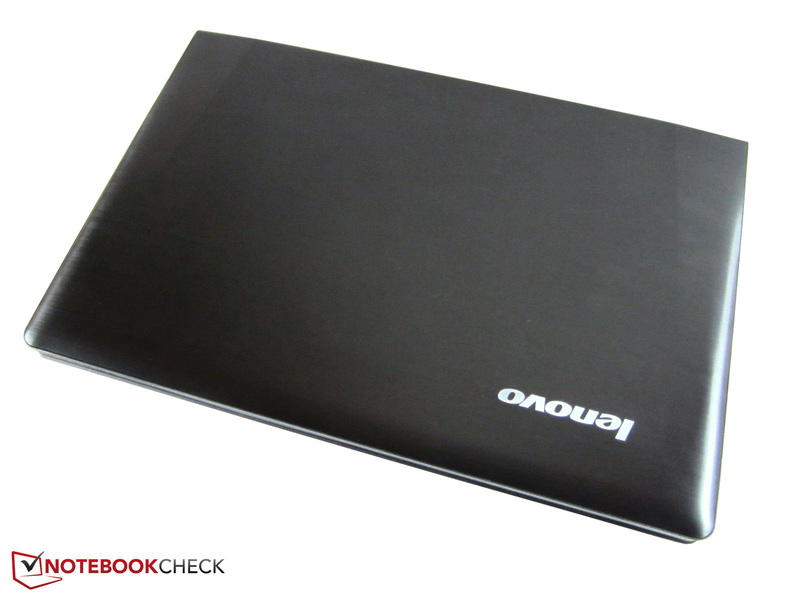 Our test shows whether the daring idea is successful or Lenovo goes belly up with it. Various complaints about the American version were made not long after its release (useless touchpads, non-functional power supplies, etc.). 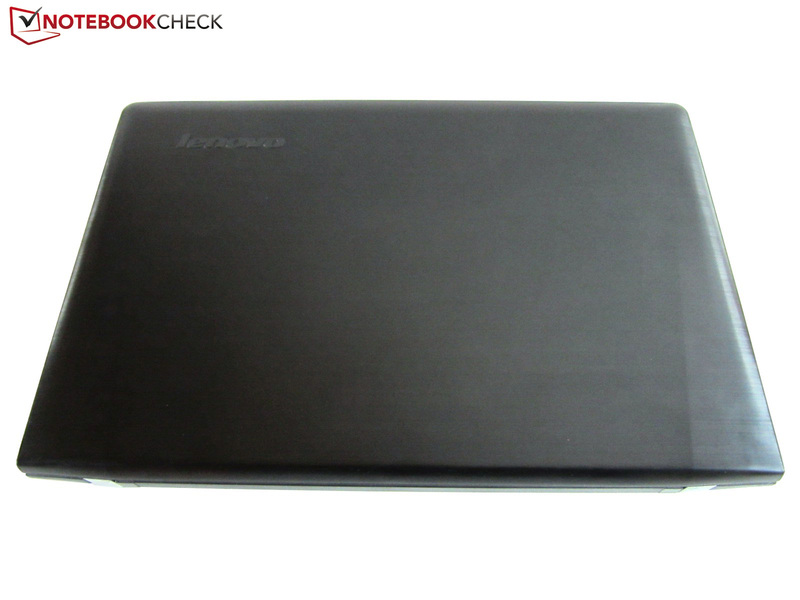 The IdeaPad Y500 looks rather unimposing in a closed state. The dark color and rather basic design do not exactly indicate potent hardware. Only the wide vents that blow out waste heat toward the (mouse) hand hint at the device's purpose. 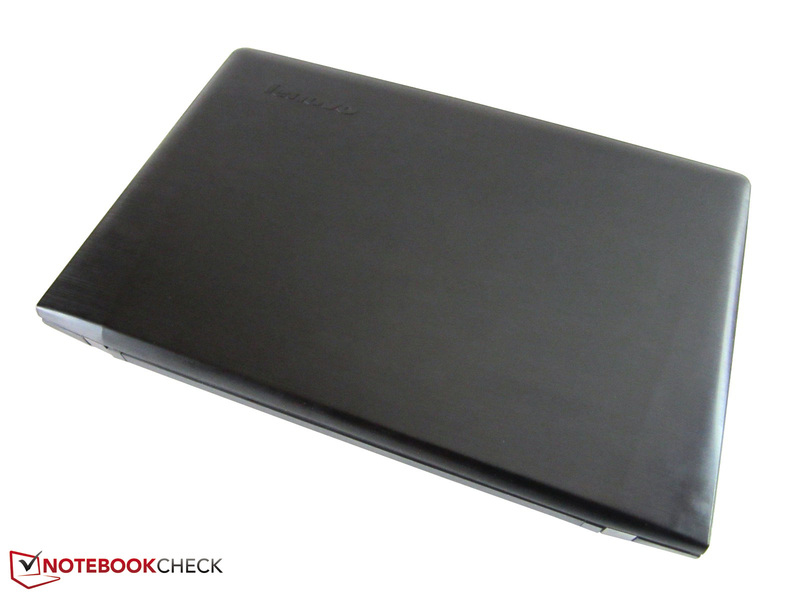 However, the manufacturer's ambitions quickly become evident as soon as the laptop is opened. The keys' red rim and speakers' red highlighted grille downright scream for games. While the lid and the wrist rest are made of brushed aluminum, the base is completely composed of plastic. The surfaces will soon be covered with smudge despite the matte finish because the laptop is susceptible to greasy fingers. The glossy keyboard bed and display bezel is even more sensitive. Particularly the latter proves to be a real dust magnet. Fingerprints and scratches are also an issue here. The wide plastic bezel basically does not quite fit into the overall picture. It mars both the quality impression as well as the looks. Overall, the design places itself between the devices from Clevo (basic) and MSI (flashy). 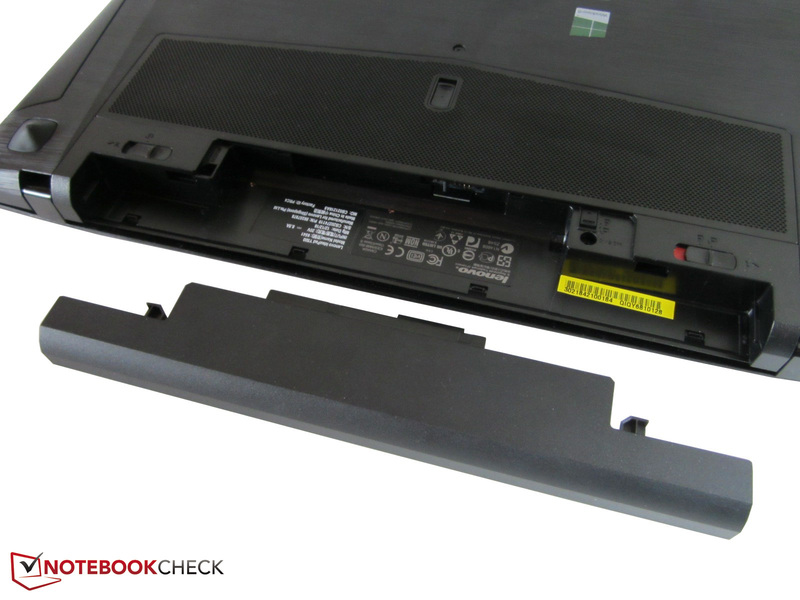 Although the casing tends to yield in a few areas, such as the keyboard's left and right area, the stability is on a satisfactory to good level. Only the touchpad yields extremely at its sides and toward its bottom. The same applies to workmanship. The positive overall impression is marred by a few irregular material transitions. The manufacturer earns kudos for the moderate size. With a height of almost 40 millimeters (~1.57 inches) and a weight of approximately 2.9 kilograms (~6.4 pounds), the 15-incher is significantly below the high-end Asus G55VW (50 mm, 3.8 kg/~1.97 inches and ~8.4 pounds), MSI GT60 (58 mm, 3.5 kg/~2.28 inches and ~7.7 pounds) and Schenker XMG P502 (51 mm, 3.2 kg/~2.01 inches and ~7.1 pounds), which may perform slower depending on the hardware configuration. The IdeaPad Y500's numbers are closer to competitors such as Asus' N56VZ GT 650 (37 mm, 2.7 kg/~1.46 inches and ~6.0 pounds), DevilTech's Fire DTX (38 mm, 2.6 kg/~1.50 inches and ~5.7 pounds) and Schenker's XMG A502 (47 mm, 2.9 kg/~1.85 inches and ~6.4 pounds). 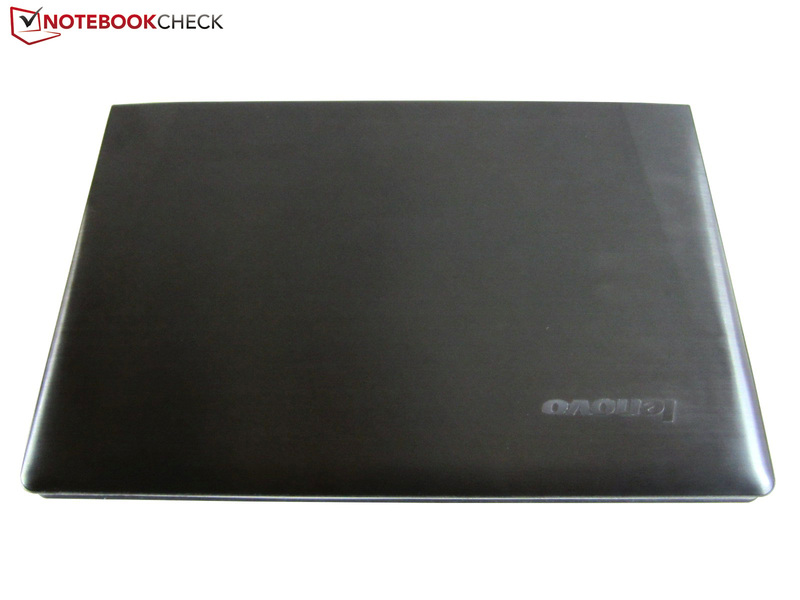 The laptop is also suitable for frequent transportation owing to its reasonable weight. 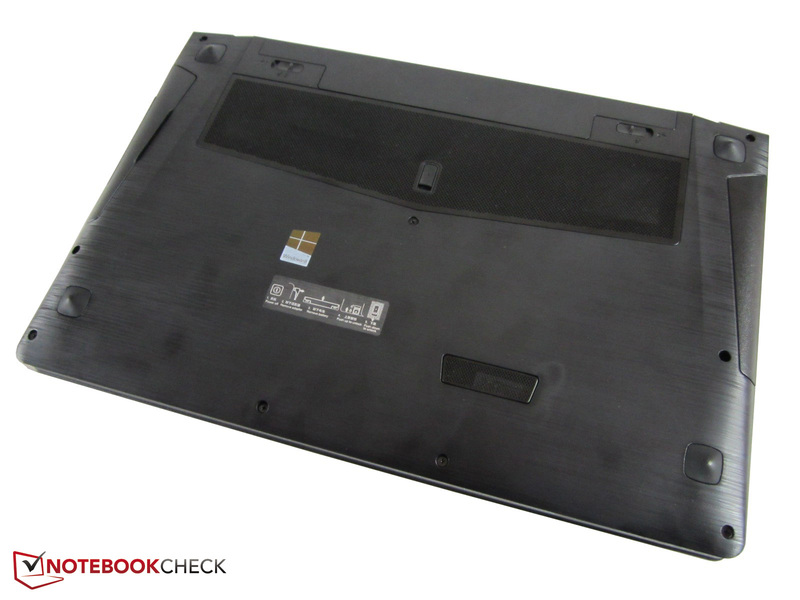 Most interfaces are on the laptop's front half because of the unfavorably placed vents. The laptop only achieves "satisfactory" in this category since Lenovo omits a FireWire or eSATA port as well as a DisplayPort. Two audio jacks (in + out) and an RJ45 Gigabit LAN port should be included in a gaming laptop just like a VGA and HDMI socket. Two of the three USB ports support the latest 3.0 standard. The 15-incher can optionally be secured against theft via the Kensington lock. According to the homepage, the card reader on the casing's front detects SD, SD Pro, MMC, MS, MS Pro and xD formats. As expected, an Intel module is used for wireless communication. The Centrino Wireless N-2230 is installed in many devices due to its decent performance. Besides Wi-Fi 802.11 b/g/n, Bluetooth 4.0 is also available. Data is transmitted with a maximum speed of 300 Mbit/s (2.4 GHz). The device does not support 5.0 GHz. The transmission range was satisfactory in the test. The maintenance option left us with mixed feelings. We will start with the positive aspects. The manufacturer has done a good job with the UltraBay's release mechanism (illustrated on a sticker on the bottom). The user merely has to bring the release lever to the right position and firmly push the button in the vent's center after removing the battery. The module can then be easily removed (see picture gallery on the right). The drive automatically clicks in when the drive is inserted. Removing the base tray is rather awkward. 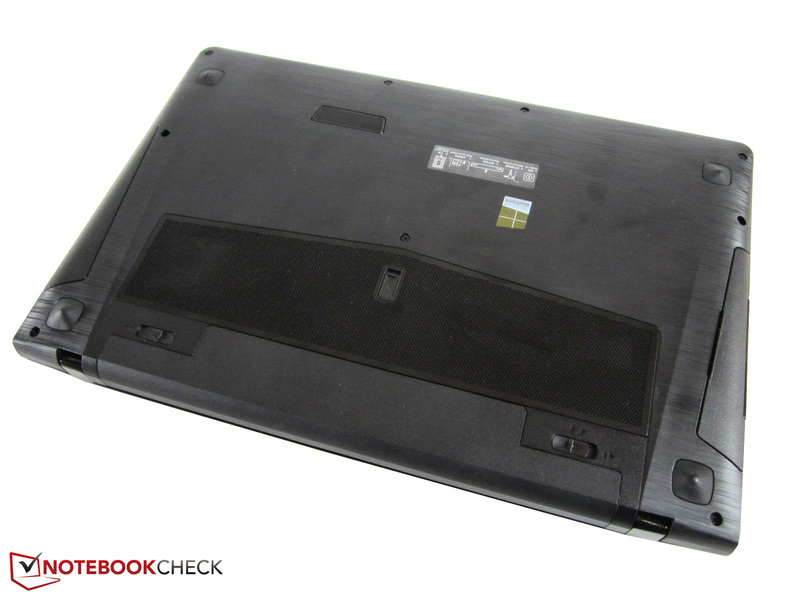 Lenovo secures the bottom with a total of nine Phillips screws. The big maintenance cover can only be removed with quite a bit of effort. The user should take care to prevent damaging anything. Regardless of the base unit's build, almost all components can be accessed under the hood. Unlike the hard disk, working memory and wireless module, the fan and CPU/GPU cooling components regrettably cannot be removed. 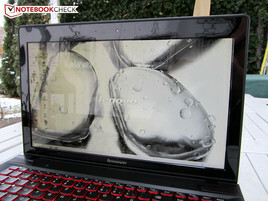 The IdeaPad Y580 is similar. Users who would like full control over the innards should preferably take a device form Clevo or MSI (e.g. Schenker's XMG A522 or DevilTech's Devil 6700). 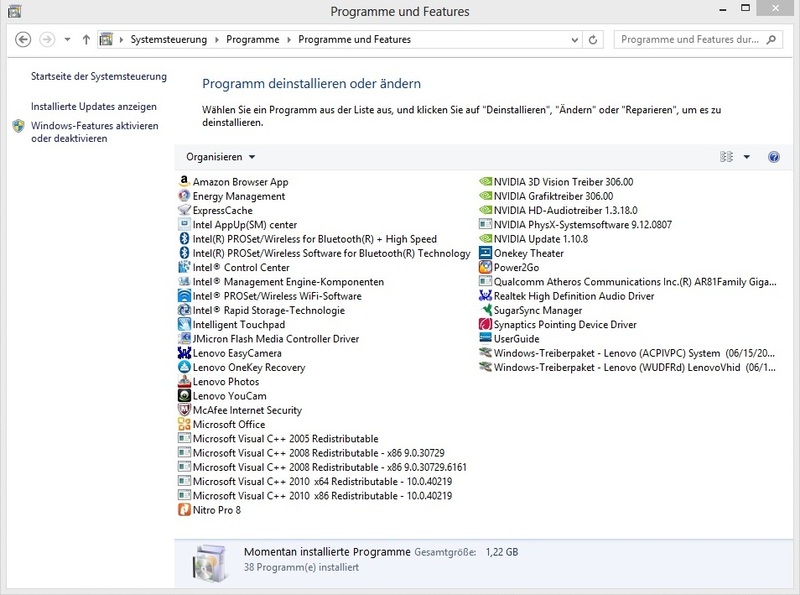 As can be seen on the right screenshot, Lenovo installs a lot of software on the laptop. Besides useless bloatware, the hard disk also sports a few convenient programs, such as OneKey Recovery for backing up or recovering the operating system (this is also possible with Windows 8 restore function). The accessories do not include a full version of the recovery DVD. Lenovo stores the drivers on a small 25 GB partition. 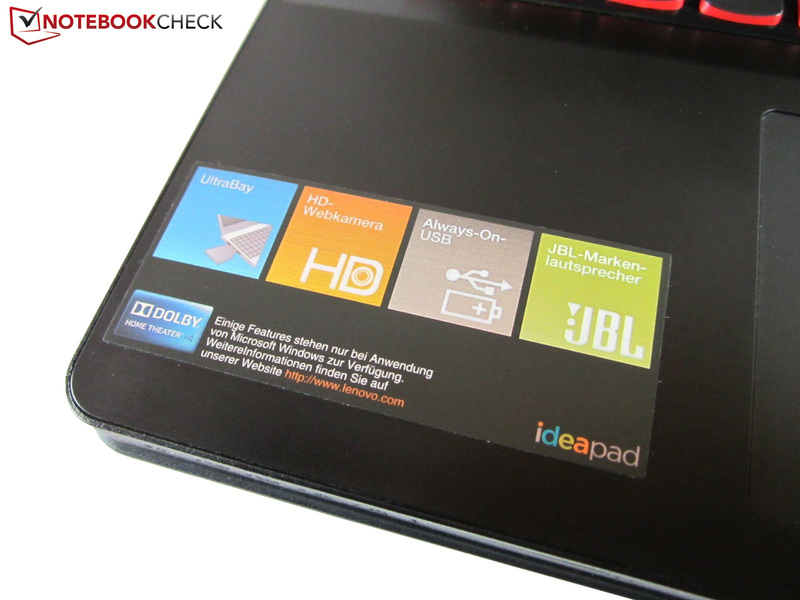 The IdeaPad Y500 does not come with many accessories. The manufacturer limits itself to a 168 x 78 x 35 millimeter (~6.6 x 3.1 x 1.4 inch) 170 Watt power supply unit (675 grams/~1.48 pounds), a 27 centimeter (~10.6 inch) long 6-cell battery (323 grams/~0.71 pounds) and several information leaflets. The 24-month warranty is industry standard. Various upgrades are available for a surcharge. An on-site service and accidental damage protection are listed on the homepage among others. Lenovo dubs the backlit chiclet keyboard AccuType. The characteristic curve at the keys' lower edge needs some familiarization, but typing on the keyboard works flawlessly after a few hours. Not only the separate number pad and good layout struck us in the test, but the clever distribution of the FN functions. 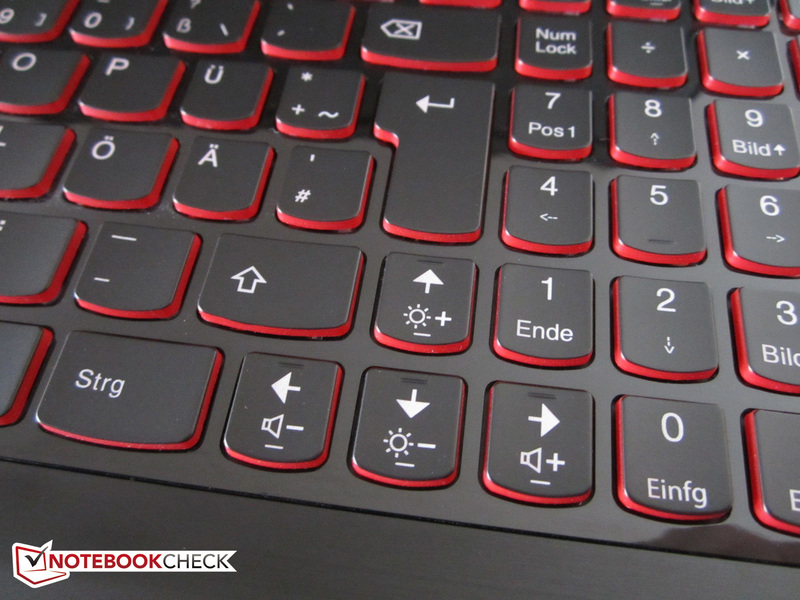 Like in MSI's devices, the brightness and volume control are on the full-sized arrow keys. 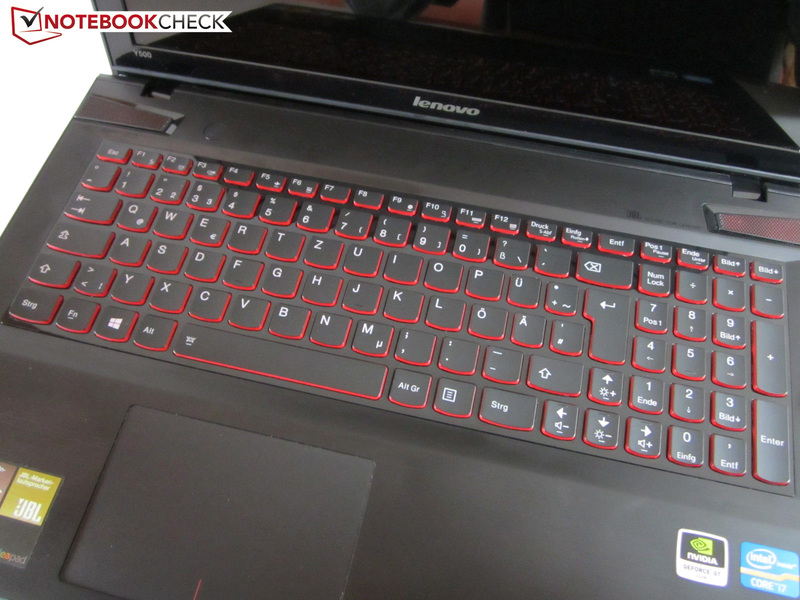 However, Lenovo halved the size of the right shift key and "0" on the number pad. We found the F row's mapping particularly nifty. 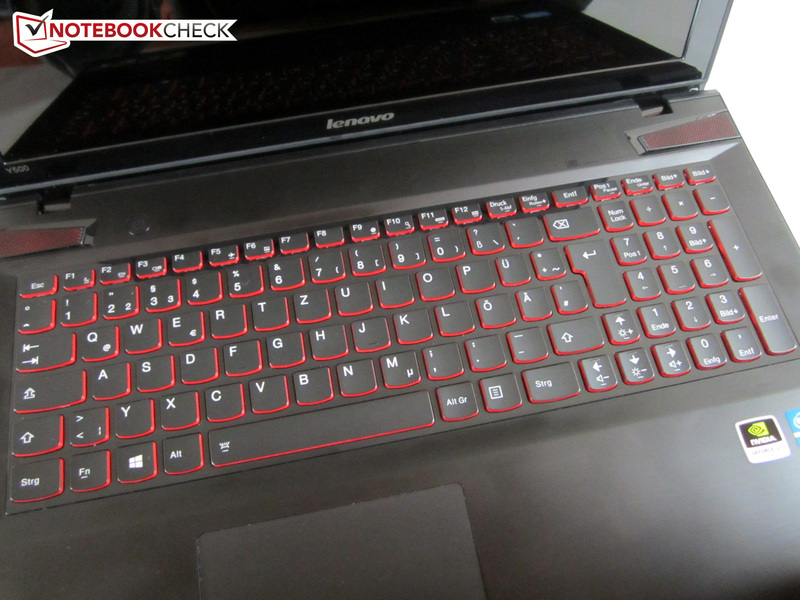 The FN + F9 key combo opens Windows 8's Charm Bar, FN + F10 trigger the search function and FN + F12 prompt the installed apps. 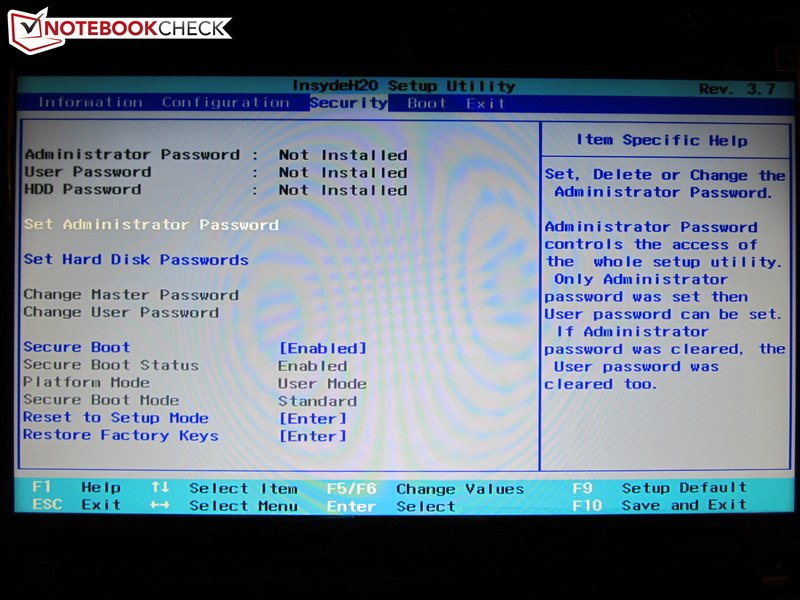 Lenovo spares the user from needless clicking and/or looking up the corresponding Windows commands. The key size of 14.5 x 14.5 millimeters (~0.57 inches) is fully sufficient and remains without reproach. The key spacing is less than four millimeters (~0.16 inches). However, as promising as all that sounds, the typing feel is a bit spongy. The pressure point and stroke do not give an outstanding performance. Compared with other keyboard units, the input device does not seem particularly defined. A partly cheap-sounding typing noise and moderate stability add to that. The freestanding keys in the corners can be obviously lifted. The two-stage lighting, which unfortunately does not feature color modification, nevertheless helps the Y500 to a good input rating. Users without an especially high requirement on the keyboard will be satisfied. 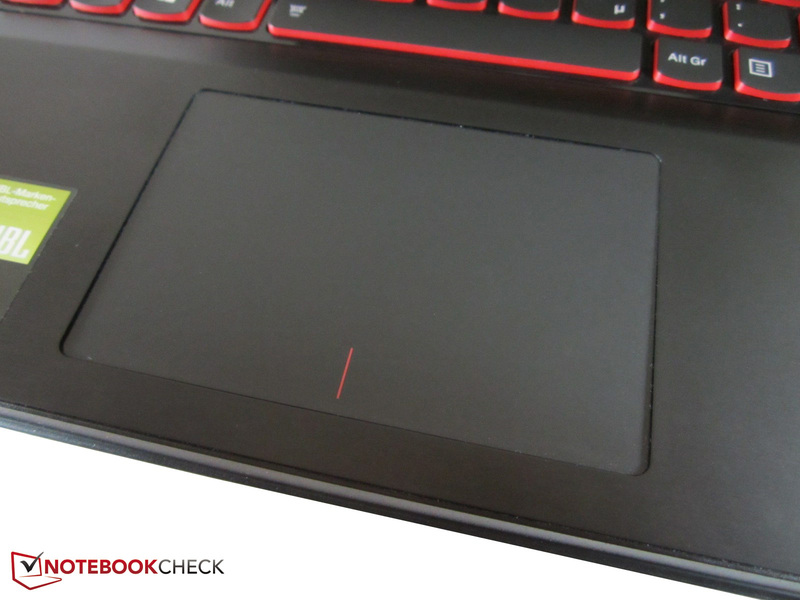 The 106 x 70 millimeter (~4.2 x 2.8 inch) and, from a gamers’ point of view, extremely far left Synaptics' ClickPad V1.1 is one of the gaming laptops biggest shortcomings. As previously hinted, the mouse replacement is relatively unstable and clattery. The keys implemented in the main field can be pressed a few millimeters into the casing under higher force. Although it could be said that this is due to the underlying mechanics, other laptops using a similar touchpad do not yield as much. The wobbly surface unfortunately causes the mouse cursor to slip away while tapping and the input is consequently misinterpreted. The cursor occasionally jumps around or is slowed down without reason even during normal movements. The supported gestures, such as scrolling, zooming, rotating, etc., are also not always detected reliably. Nevertheless, we would not call it a complete catastrophe as said in some YouTube videos. The sleek and consequently very pleasant texture is one of the few highlights. Unintentional inputs during games can be prevented via the deactivation option, as usual. 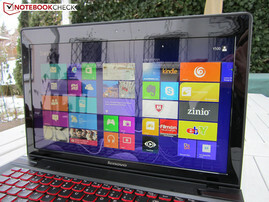 Opposing the current trend, Lenovo installs a glossy screen rather than a non-glare model. Users who are used to a lower resolution in the 15-inch sector will likely deem 1920x1080 pixels exaggerated at first. However, the generous desktop will not want to be missed after a few days. Compared with a 1600 or 1366 screen, a lot more information finds room on the screen (keyword: multi-window operation). The SLI version of the Y500 also easily manages games in Full HD, though naturally not always in full details. Admittedly, the single GPU model would look better with an HD+ screen. In case the resolution has to be reduced for performance reasons, 1680x1050 pixels (16:10) was the next step after 1920x1080 pixels (16:9) in our test device. 1366x768 pixels looked very blurred. 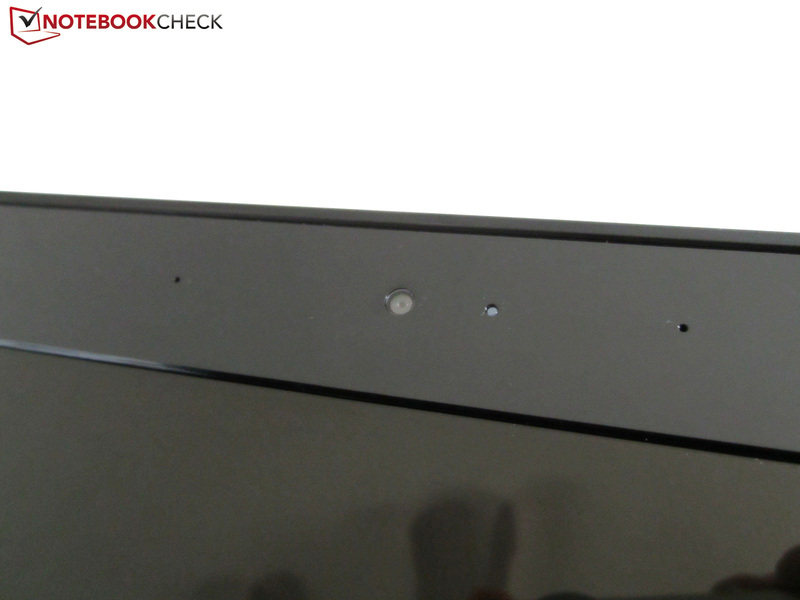 We can attest LG Philips' LP156WF1-TLC1 screen to have a good quality. A brightness of approximately 260 cd/m² refers many contenders to their place. The moderate brightness distribution of just over 80% is hardly visible. The black value is only midfield. 0.6 cd/m² is neither bad nor particularly good. The contrast of 450:1 is also satisfactory. The glossy surface does a good job in concealing the minor deficits. There is not much room for complaint in terms of colors either. 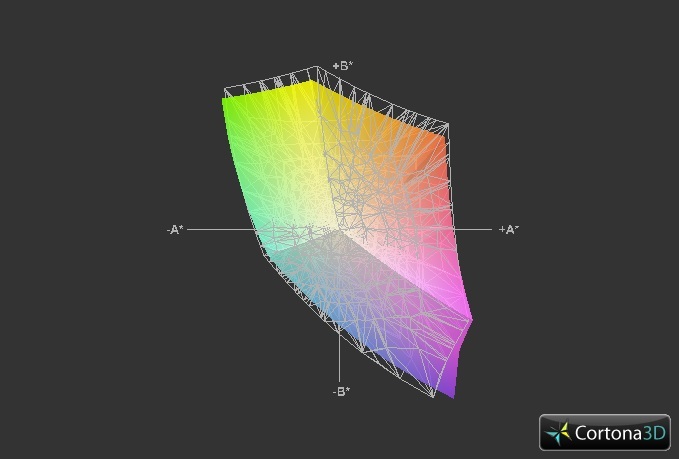 The screen comes quite close to the sRGB color spectrum. 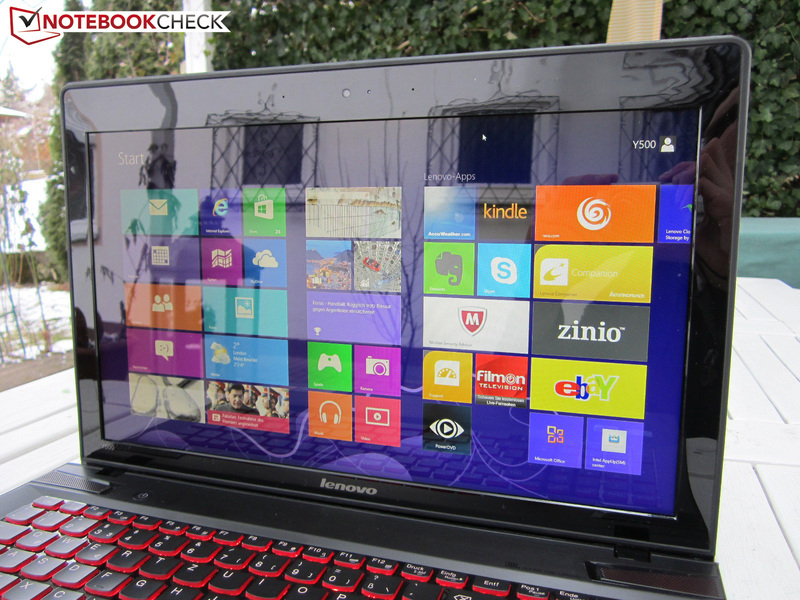 Despite the above-average brightness, the IdeaPad Y500 can only be used outdoors with restrictions. 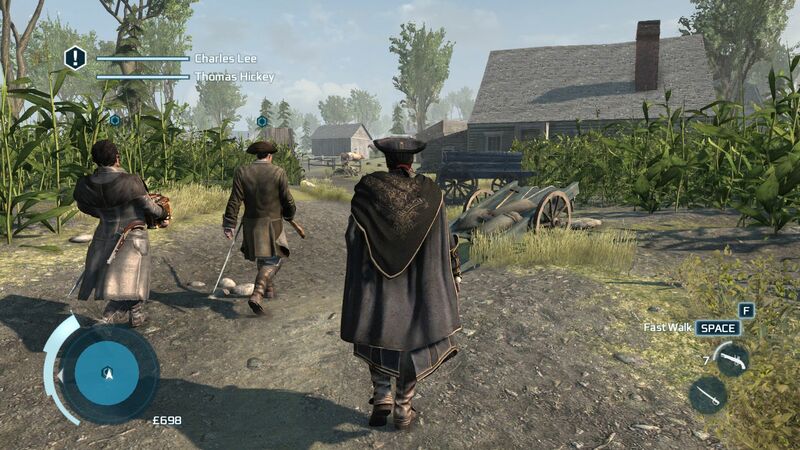 As can be seen on the screenshots below, massive reflections can turn up outdoors. Users who are often outdoors are better off with a non-glare screen. The viewing angle stability is very dependent on the direction. While the 15-incher adequately copes with even large deviations horizontally, distortions evolve much sooner vertically. However, there is no need for repeatedly adjusting the screen as known from budget models. The Core i7-3630QM is a mobile high-end processor from Intel's Ivy Bridge range (22nm). The 45 Watt CPU easily deals with even computing-intensive applications with its four cores and six MB L3 cache. Gamers will particularly be happy about the Turbo Boost technology that lifts the clock considerably above the default rate during load. 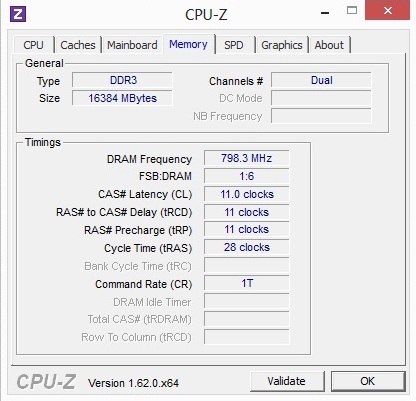 A theoretical clock frequency of up to 3.4 GHz is possible with the Core i7-3630QM. 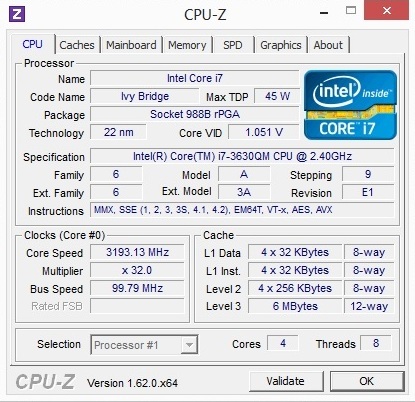 Hyperthreading, which simulates virtual cores, is more relevant for professional users. Only a few programs presently benefit from eight parallel threads. 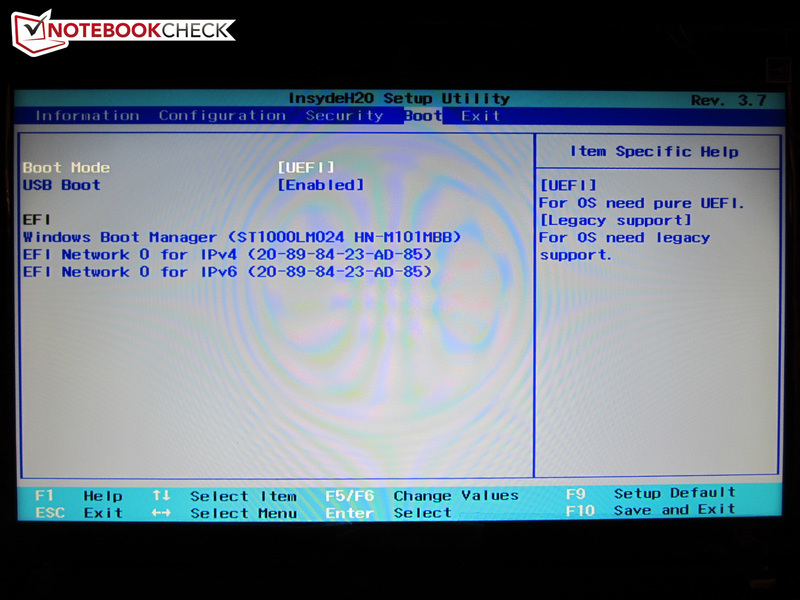 The graphics chip dubbed HD Graphics 4000 remains disabled in the IdeaPad Y500. The manufacturer had to waive on Nvidia's Optimus technology due to SLI. The dynamic overclocking is more than satisfactory. 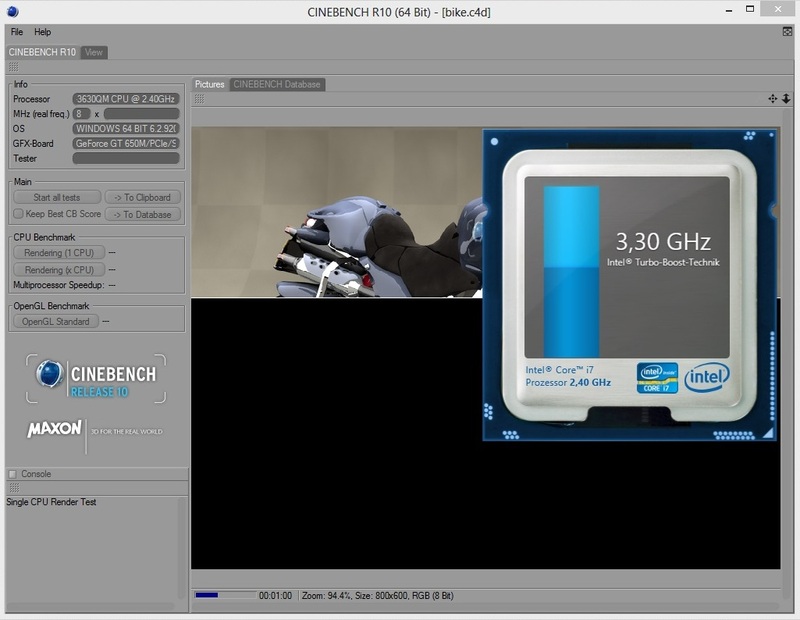 The Core i7-3630QM always ran with over 3.0 GHz in both the CPU-heavy Cinebench R10 as well as in the GPU-intensive Unigine Heaven benchmark. Although this could be an indication for excellent temperature management, it "only" achieved the default 2.4 GHz during full load. The quad-core did quite a good job in the CPU benchmarks. 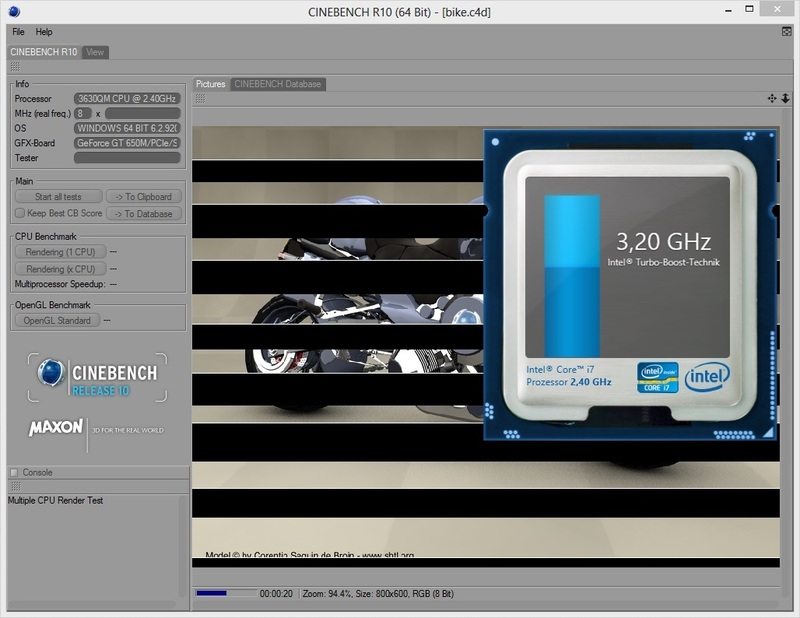 In Cinebench R11.5's single-core rendering, the IdeaPad Y500 calculated just as fast as DevilTech's HellMachine and Nexoc's M507II also equipped with a Core i7-3630QM (1.41 points). 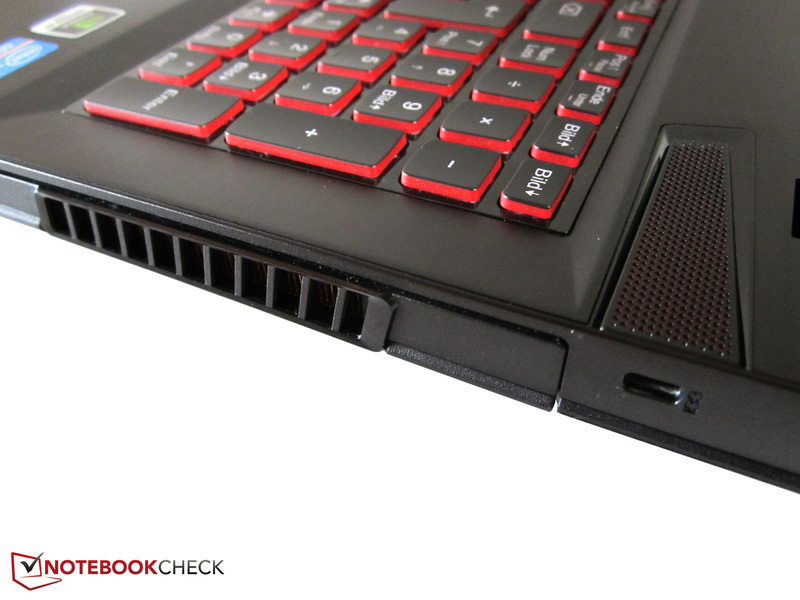 The laptop places itself just behind HP's Envy dv7-7202eg in multi-core rendering (6.37 vs. 6.39 points). 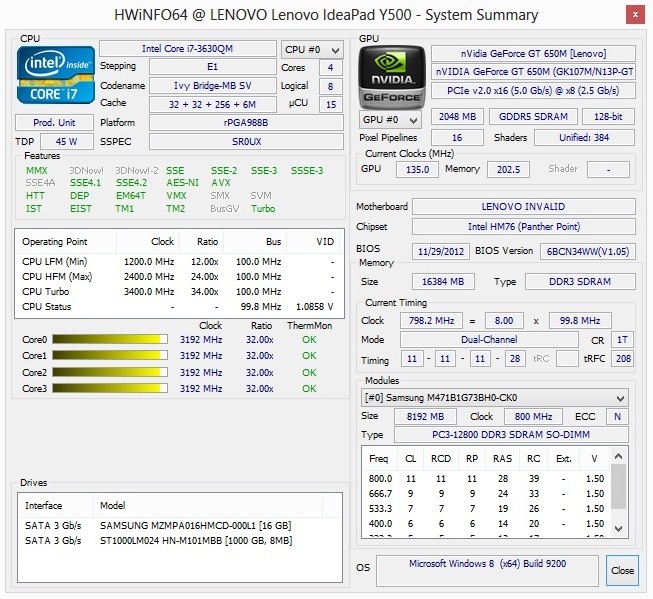 As the screenshot below shows, Intel's Core i7-3610QM (2.3 - 3.3 GHz) is only marginally slower. 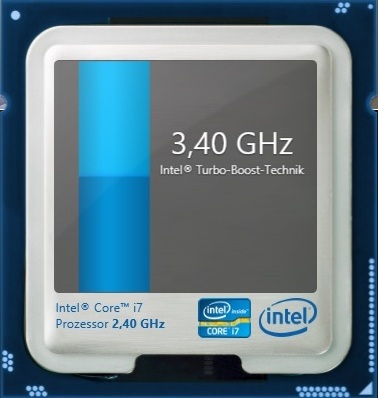 The brand-new and 300 MHz faster Core i7-3740QM excels by roughly 10% in optimized applications. The GeForce GT 650M is based on the GK107 chip from the Kepler generation and is built in a 28 nm process. 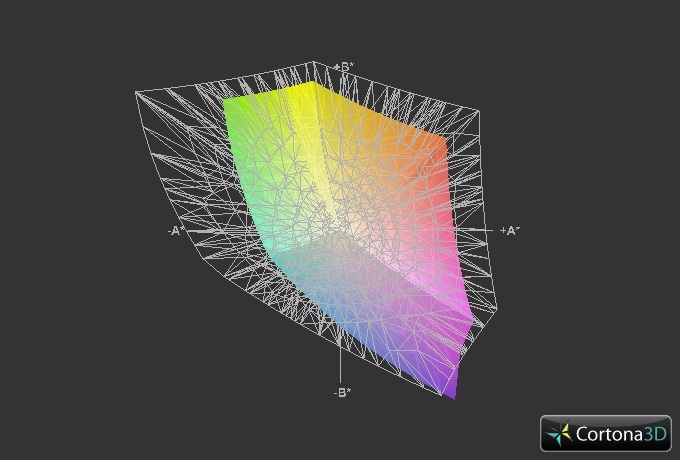 The DirectX 11 GPU belongs to the upper midrange in view of 1.3 billion transistors and 384 Unified Shaders. Lenovo opts for the faster 2048 MB GDDR5 version and a 128-bit memory bus. A clock rate of 790 MHz is slightly above average. The previously tested GDDR5 models were usually specified with 745 MHz (e.g. Alienware's M14x R2, Asus' UX51VZ, Dell's Inspiron 17R, DevilTech's Fire DTX or MSI's GE60/GE70). However, it is too bad that the automatic overclocking GPU Boost (Nvidia's counterpart to Intel's Turbo Boost) is not enabled. 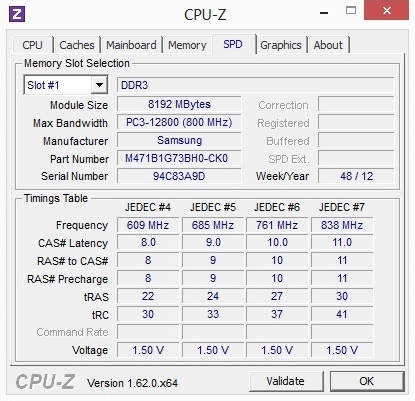 Unlike other GT 650M laptops, the core frequency is not increased to a maximum of 835 MHz during load, but stays at 790 MHz. In return, the memory clocks with 1000 MHz. Two graphics cards are merged to a performance increasing array in SLI mode. We manually updated the GPU driver to the latest version to extract the maximum performance from the 15-incher (ForceWare 310.90 rather than 306.00). Many readers will be wondering whether two GeForce GT 650M GPUs can compete with real high-end models. To make it short, the answer is yes. 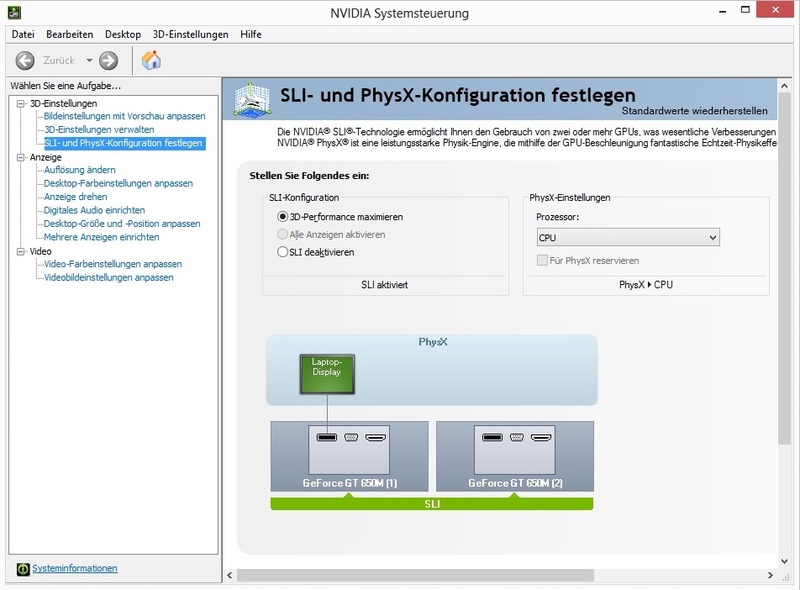 The speed increases considerably when the SLI mode is available in a 3D program. For example, both graphics cards achieved a GPU score of 3612 points in 3DMark 11 (1280x720, performance preset) and slightly surpass the GeForce GTX 670MX, which is also a member of the Kepler generation (3567 points @ Asus G75VX-T4020H). 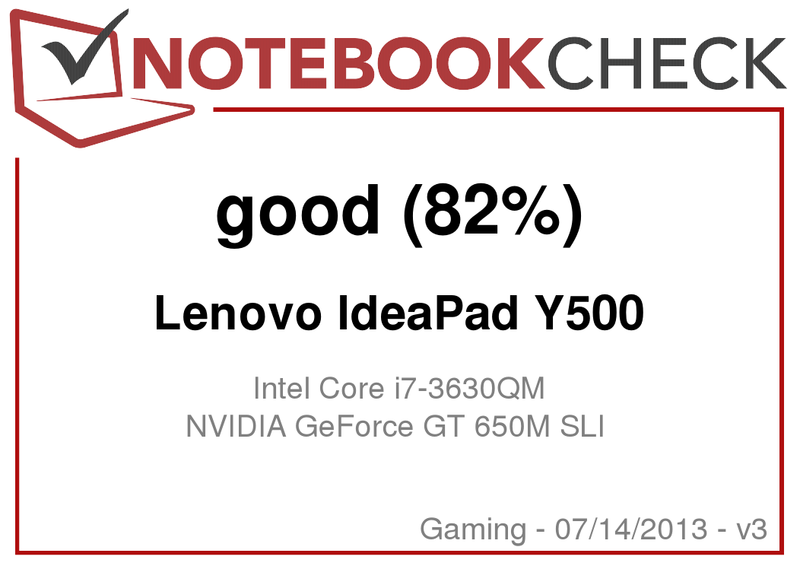 A single GeForce GT 650M results in a 40% lower score (2099 points @ Dell's Inspiron 17R). It looks the same in the Unigine Heaven 3.0 benchmark using 1920x1080, high, default tessellation. The single GT 650M can only dream of 35.8 fps (21.5 fps @ DevilTech's Fire DTX). 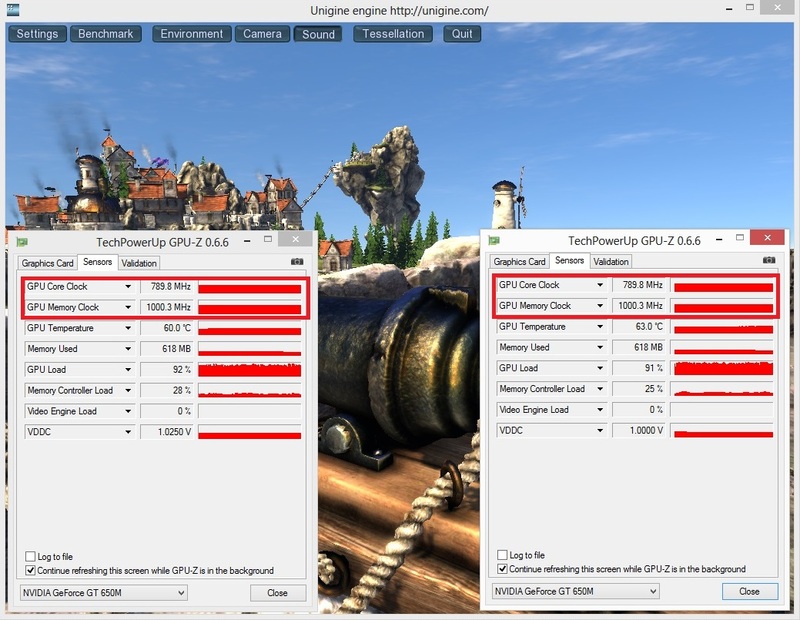 Even the GeForce GTX 670MX's 34.3 fps is again defeated. The 16 GB mSATA SSD does not appear in Windows Explorer. Samsung's MZMPA016HMCD solid state drive merely works as a cache that speeds up the system and supports the HDD. The 1000 GB primary hard disk also comes from Samsung and is dubbed SpinPoint M8 HN-M1010MBB. 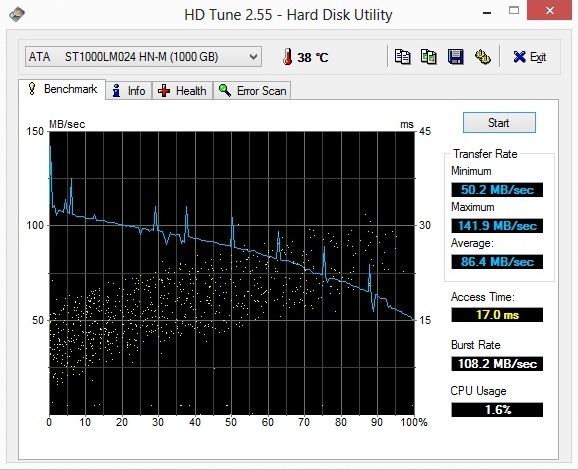 Although the HDD "only" spins with 5400 rpm, the benchmark results are impressive. An average transfer rate of 86.4 MB/s and an average access time of 17.0 ms in HDTune are pretty decent for a 5400 rpm model. 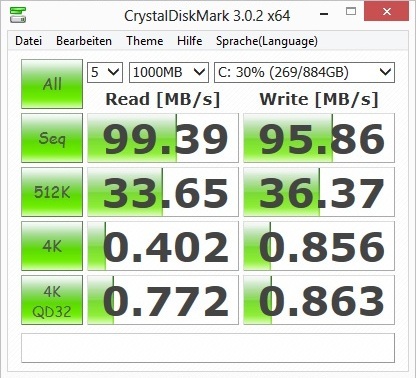 The sequential read and write rate in CrystalDiskMark was just under 100 MB/s. Subjectively, the operating system is relatively fast although the cache of course cannot replace a "genuine" SSD. 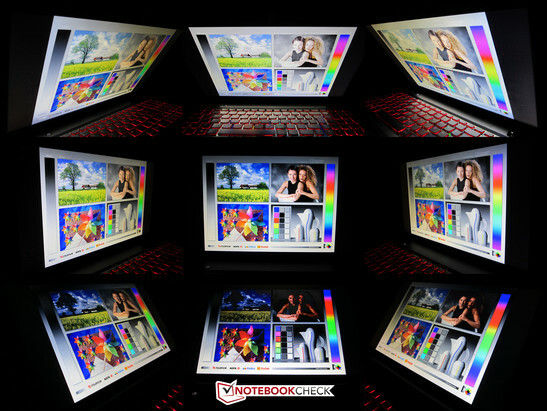 Standard laptops without a cache and with a weaker HDD are sometimes much slower in terms of installations, loading and booting times as well as in multitasking. The HDD/SSD combo is more than acceptable in view of the targeted price. 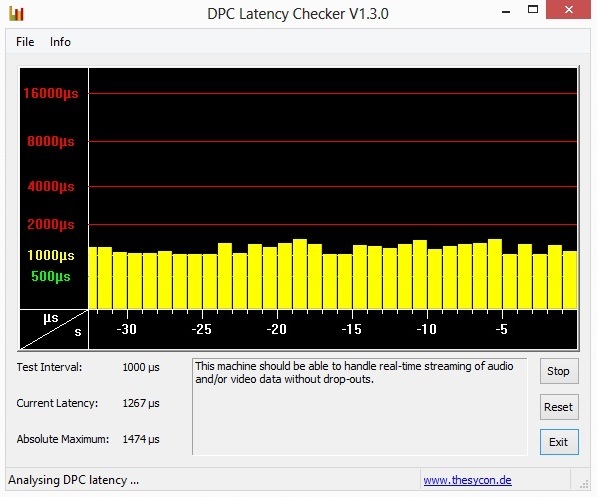 PCMark 7 was developed to test the overall performance of a system. 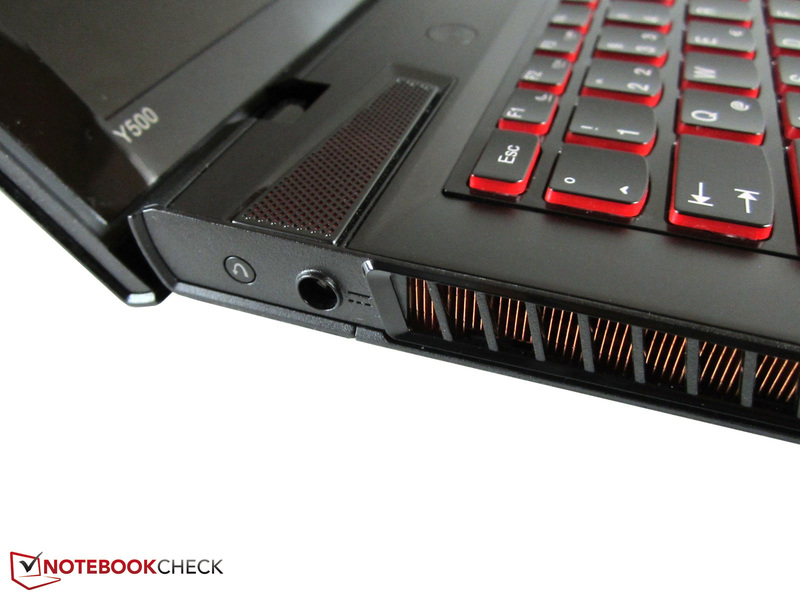 With 3505 points, the 15-incher places itself between Acer's Aspire M3-581TG and HP's Envy 6-1000sg midrange laptops. The scores tend toward 4000 - 4500 points when stronger components and/or a faster hard disk are used (e.g. DevilTech's Devil 6700). After almost 90 gaming benchmarks, we dare say that an SLI array of two GT 650M cards is an appealing option for casual gamers. The majority of games also ran well with 1920x1080 pixels when the ultra-level and 4x anti-aliasing was left disabled where necessary. High graphics settings and 2x anti-aliasing were usually rendered smoothly. Reducing the pixel count was not necessary in most cases. 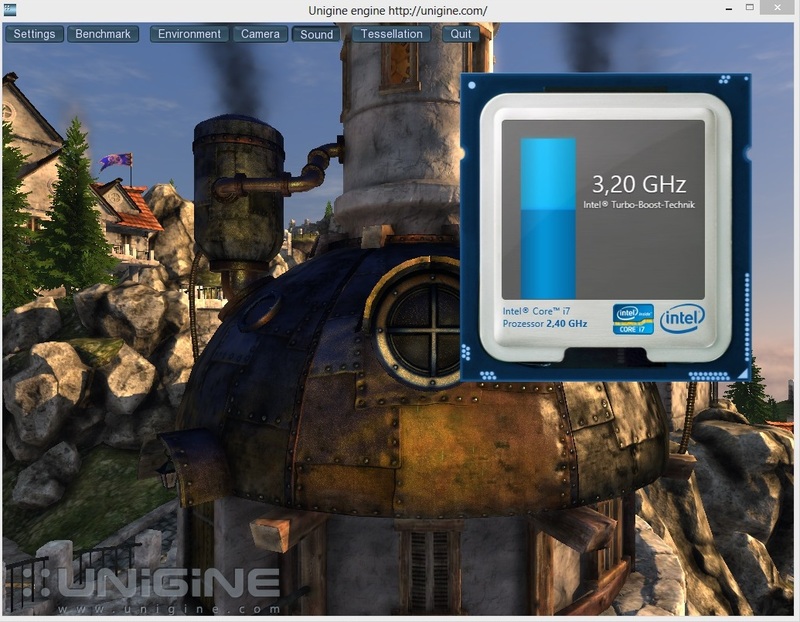 A single GeForce GT 650M lags behind by about 66% in all benchmarks. The performance gain is between 0 and over 90% depending on the game. 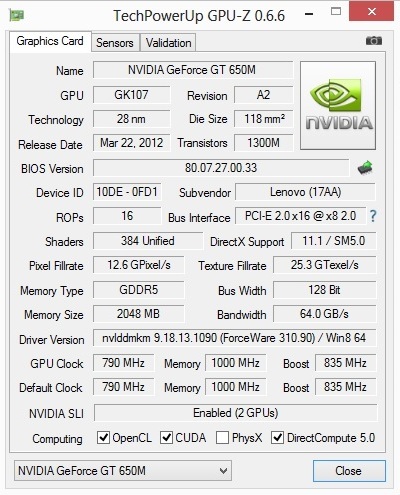 The GeForce GTX 670MX also lags behind, although its difference of 10% is rather marginal. The SLI array is no threat for the GeForce GTX 675MX. Nvidia's Kepler-based high-end graphics card manages a lead of approximately 20%. 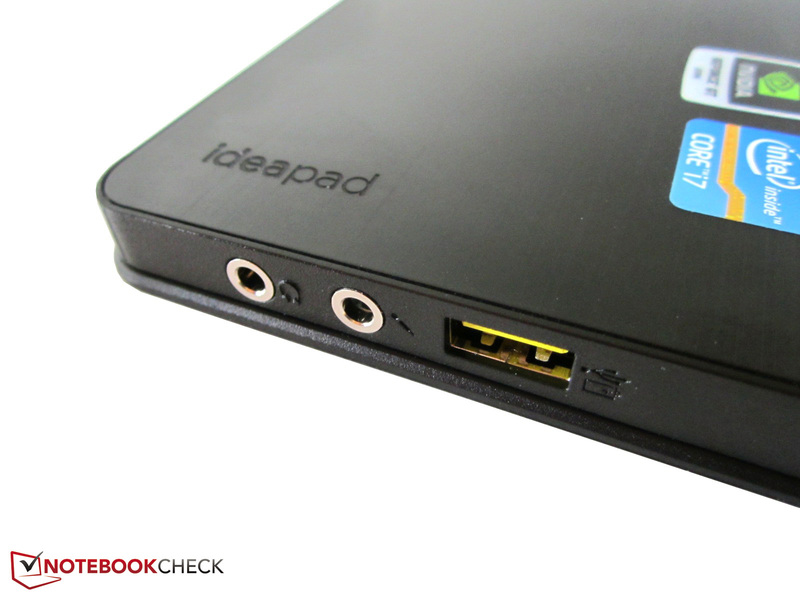 A few words about micro-stutters as they are a significant issue in the IdeaPad Y500. Annoying interruptions sometimes occur due to the varying frame spacing, which is caused by the deviating image calculation and theoretically affects all dual GPU systems. The range below 40 fps, where the laptop often hovers in demanding tracks, is particularly affected. Rendering appears a lot smoother with the GeForce GTX 670MX despite its weaker performance. We included a comprehensive comparison chart at the end of this review. More information about the different graphics cards can also be found in our gaming list. Many multimedia and gaming laptops have to accept serious reproach when it comes to noise development. The casing’s fan spins at a high speed particularly under load. Although the IdeaPad Y500 is not exceptionally quiet in gaming operation, the 15-incher is far from a distractingly loud level. Just under 40 dB (A) in 3DMark 06 is a decent result. For comparison: Schenker's XMG A522 (GeForce GTX 660M) and Medion's Erazer X6821 (GeForce GTX 670M) both reached approximately 43 dB (A) in the test. The fan sometimes completely receded into the background depending on the volume and intensity of the game's soundtrack. 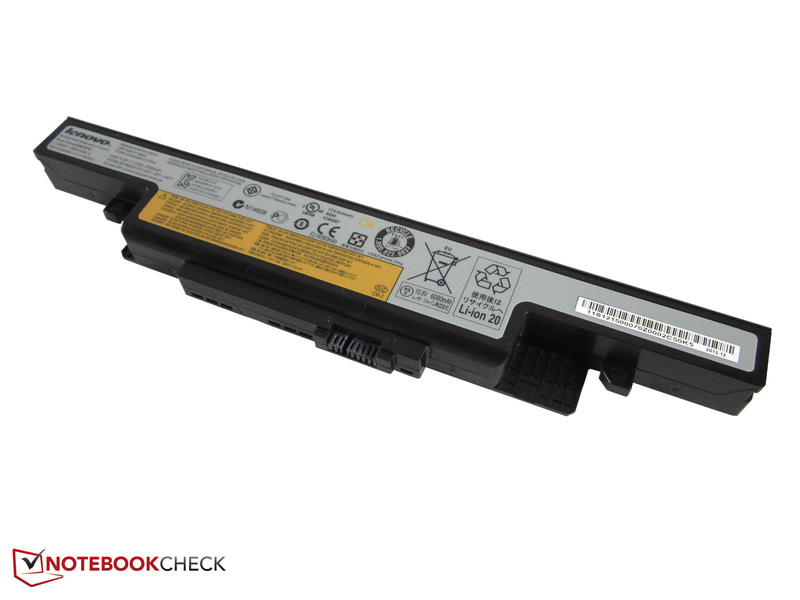 The laptop is generally hardly audible at idle. Except for an unobtrusive fan or HDD noise, the laptop remains agreeably quiet. An average of 31 dB (A) will unlikely aggravate even sensitive users. The temperatures only partly convinced us. 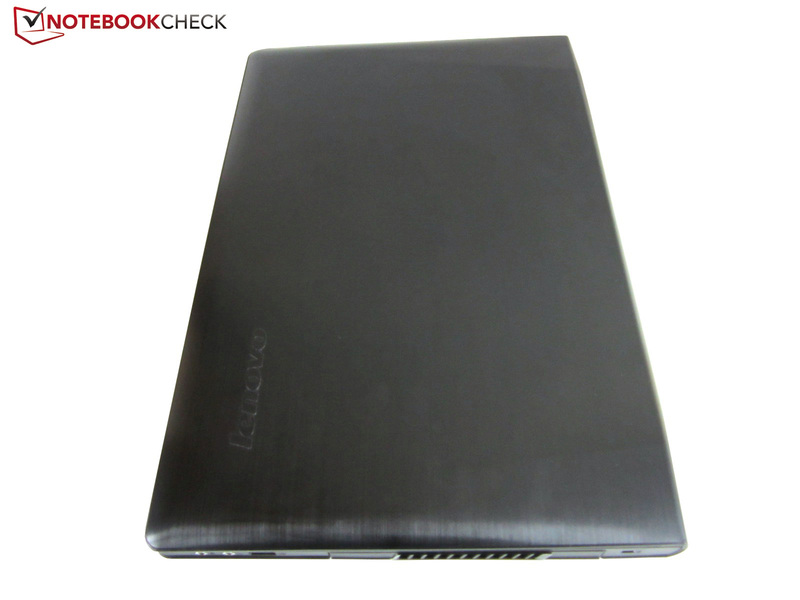 When the laptop was idle, (hardly or not at all loaded), the casing's surface temperature settled to an acceptable 31 °C (87.8 °F). In return, the chassis heated up quite strongly during full load. Our thermometer recorded an average of 43 °C (109.4 °F) on the top and 41 °C (105.8 °F) on the bottom after one hour of stress testing via the tools FurMark and Prime95. At times we even measured 50 °C (122 °F). 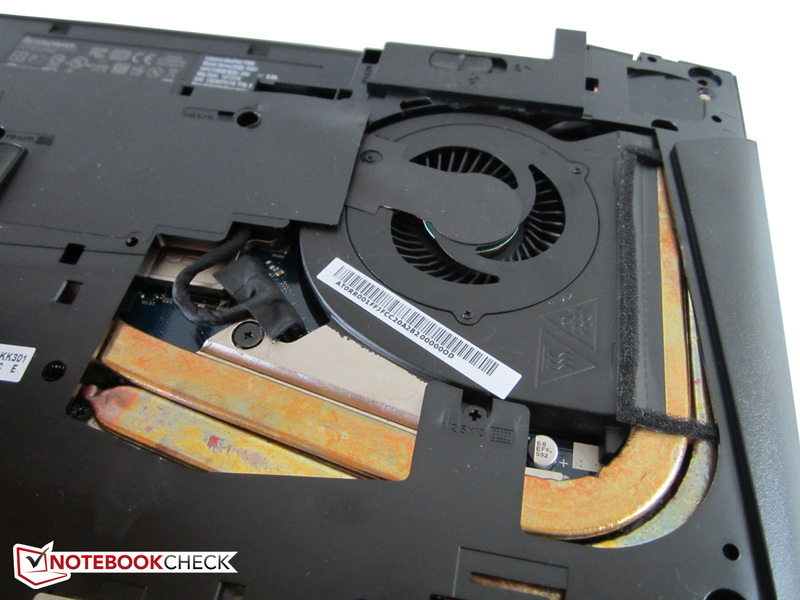 The IdeaPad Y500 did not heat up quite as badly in "normal" 3D programs. Games can thus be enjoyed without major restrictions. The components also get fairly warm in extreme conditions. 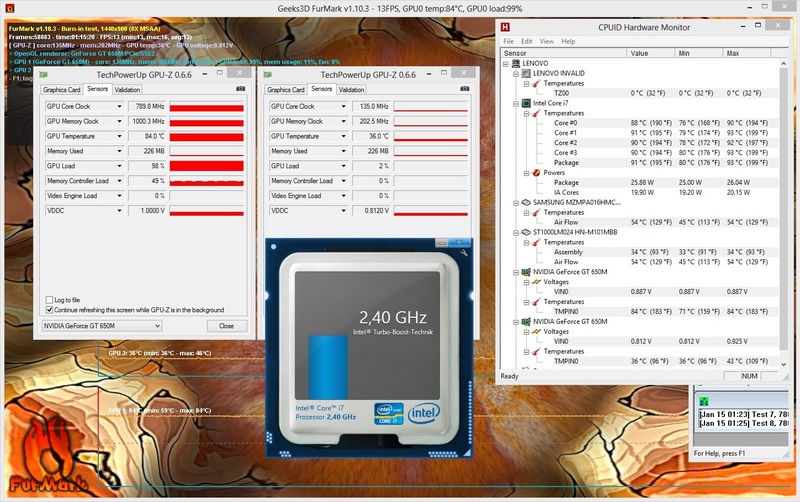 The CPU clock dropped to a still viable 2.4 GHz while climbing up to 90 °C (194 °F). The graphics cards exhibited a completely different behavior in the stress test. While the one GT 650M ran with the usual 790/1000 MHz (maximum 84 °C/183.2 °F), the second GT 650M throttled to low 135/203 MHz very soon. However, we are not sure whether FurMark ran properly on the second accelerator since the load tended to 0 in GPU-Z. (-) The maximum temperature on the upper side is 50.9 °C / 124 F, compared to the average of 39.3 °C / 103 F, ranging from 21.6 to 68.8 °C for the class Gaming. (-) The average temperature of the palmrest area of similar devices was 28.7 °C / 83.7 F (-13.6 °C / -24.4 F). Lenovo self-confidently touts the device with "premium JBL speakers" The California-based company will likely be known to many readers. The sound expert has contributed to good sound in many laptops - above all, Dell's XPS 15 and XPS 17. 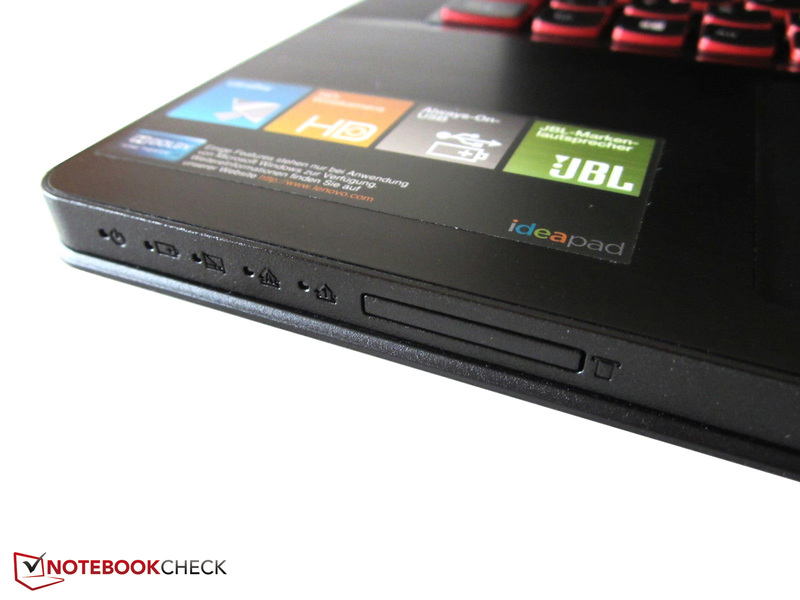 And unsurprisingly, the IdeaPad Y500 also features an appealing sound. Alongside Dolby Home Theater v4 technology, the sound is above the average mainstream level. The bass is astonishingly strong for a 2.0 system without a subwoofer. Games and movies can be enjoyed quite well despite the slightly tinny and artificial sound. This is a typical laptop problem that is particularly noticed in music tracks. The decent maximum volume should not be turned up to maximum because the speakers tend to fray in louder volumes. 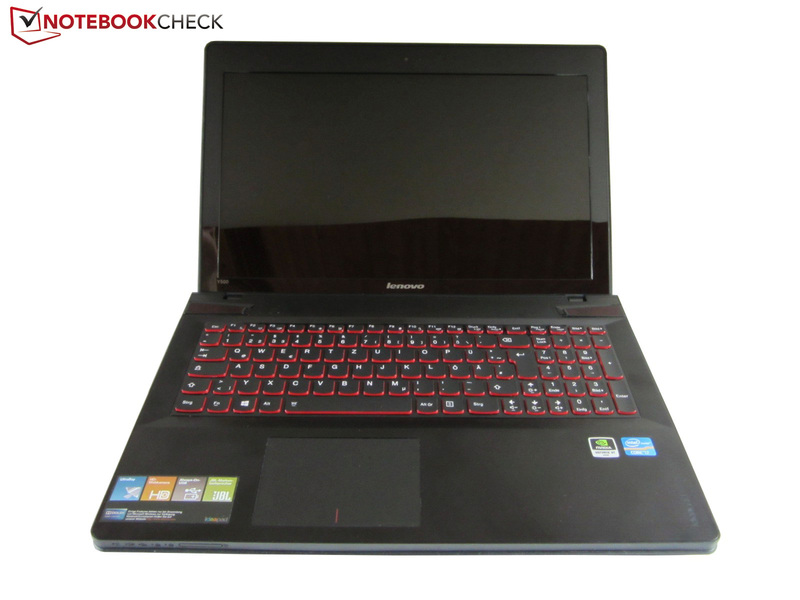 Nevertheless, we cannot criticize Lenovo much when looking at the competition. Other devices sound much worse. Nevertheless it is not enough to be worthy of reference. In the writer's opinion, MSI's DynAudio Systems still dominates the speaker category (GX60/GT60/GT70). Incidentally, the sound output is transmitted via a jack (S/PDIF support) or HDMI (surround sound). 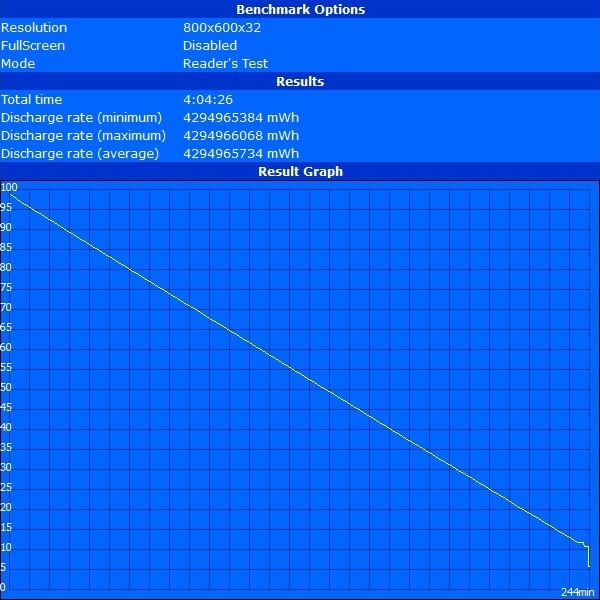 The omitted graphics switching is noticed in power consumption. With 18 - 25 Watts, the 15-incher consumes more energy when idling than many Optimus contenders. Gigabyte's bright yellow and also 15.6-inch P2542G (Core i7-3610QM & GeForce GTX 660M) only consumed 11 - 18 Watts in the test. 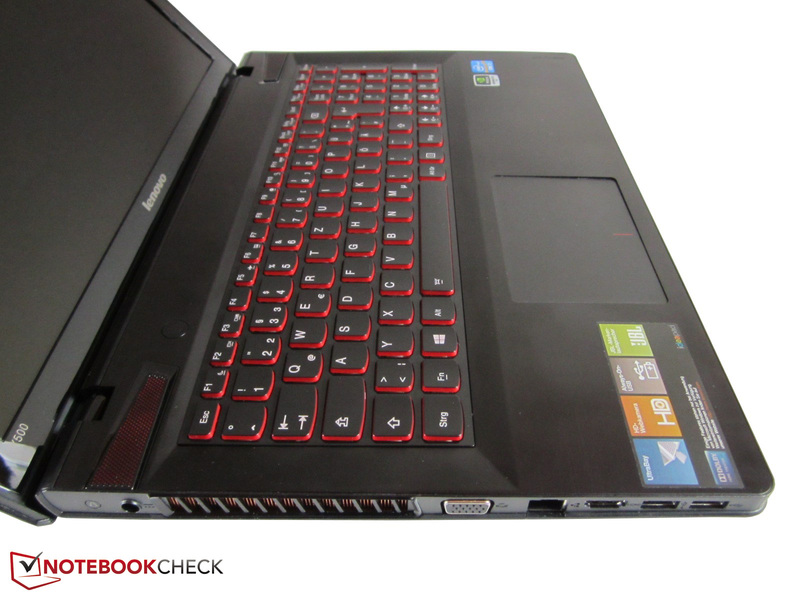 We compared the IdeaPad Y500 with an equal, high-end laptop during load. Around 104 Watts in the first 3DMark 06 scenario are considerably higher than that of Asus' G75VX (82 Watts @ Core i7-3630QM & GeForce GTX 670MX). Note: The keyboard's backlight and SLI were enabled for all tests. The removable lithium-ion battery provides a decent capacity of 72 Wh or 6700 mAh; at least theoretically because its real-life runtimes are not exactly compelling. 1.5 hours during high load and maximum brightness are just as poor as three hours of wireless Internet browsing (medium brightness). The 15-incher only managed a little over four hours at idle and minimum brightness. Following the successful IdeaPad Y580, Lenovo presents the next gaming-suitable laptop based on Nvidia's Kepler architecture. 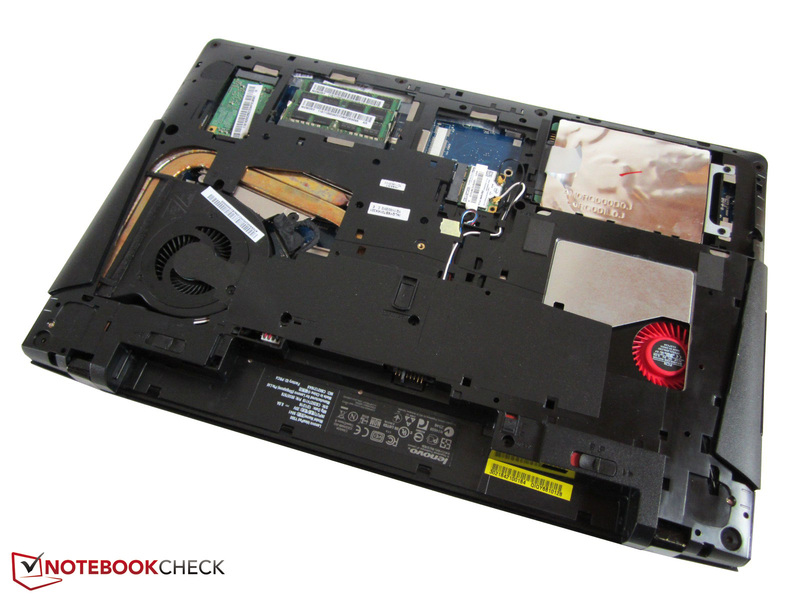 The IdeaPad Y500 particularly impresses with its well-conceived UltraBay. 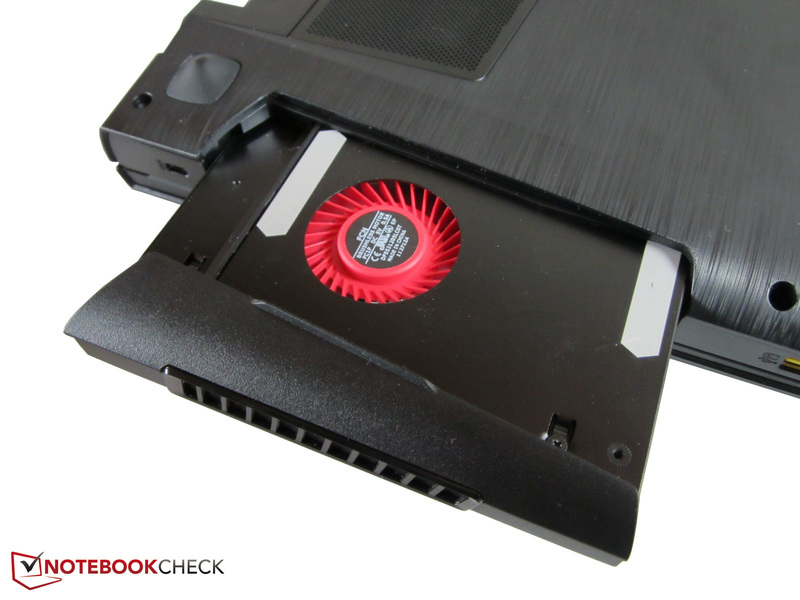 The option of inserting an optical drive, a second graphics card or an additional hard disk is a fresh idea in the gaming sector. 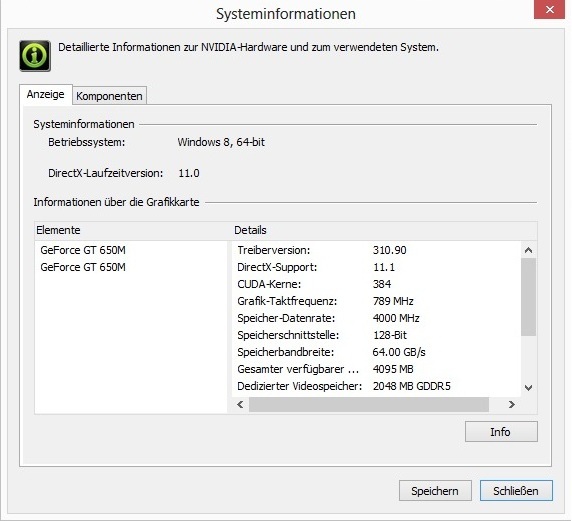 Owing to Nvidia's great driver support, the GeForce GT 650M really revs up in SLI mode. Even high-end graphics cards like the GeForce GTX 670MX play catch-up in most games. There is hardly a faster laptop currently available for 1100 Euros (~$1481). The lush memory configuration and the swift quad-core processor contribute to the high overall performance. The lack of a "full-blown" solid state drive is somewhat regrettable, but the small 16 GB ExpressCache compensates this drawback quite well. The fairly high-quality TN screen draws praise although its glossy surface disturbed us. The relatively good JBL speakers are another plus point. Owing to the bright red keyboard light, the 15-incher looks good 24 hours a day (with exception of the sensitive surfaces). Regrettably, the black and mainly metal casing exhibits a few needless flaws. For example, its clattery touchpad that does not always work reliably and displays poor stability or the adverse placing of interfaces and fan. Who wants the whole waste heat to be blown on their hand when playing with an external mouse? Moreover, the keyboard lacks crisp feedback. 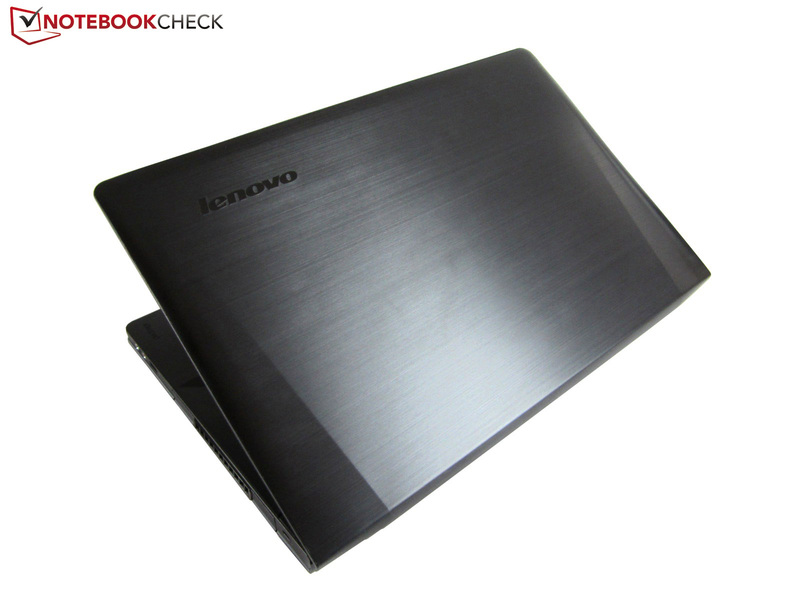 Lenovo's IdeaPad Y500 proves to be inconspicuous, that is average up to good, in the other categories (build, noise, temperature, battery runtime, weight, etc.). 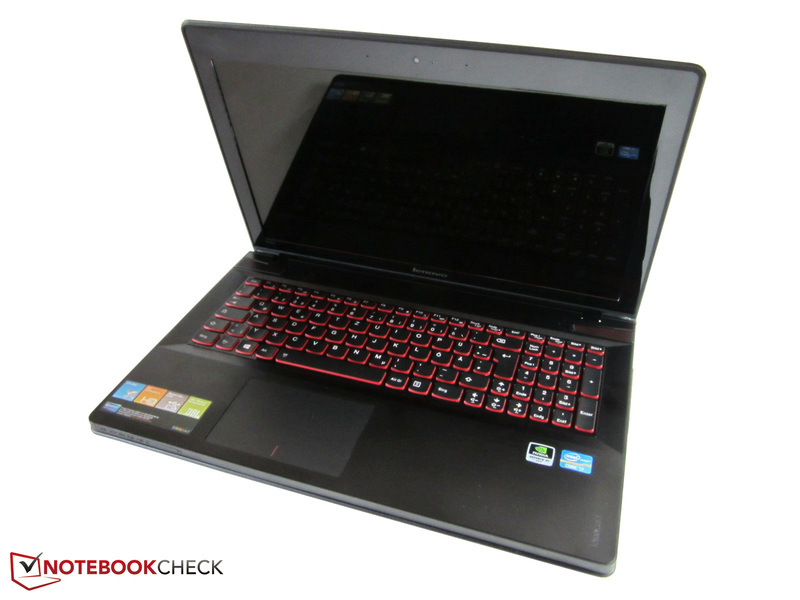 Buyers looking for a versatile and a (still) attractively priced gaming laptop and who can live with the listed shortcomings should give the 15-incher a chance. The non-SLI version is not quite as interesting due to superior and/or cheaper alternatives. The surcharge for the dual GPU model is definitely worthwhile in view of performance. 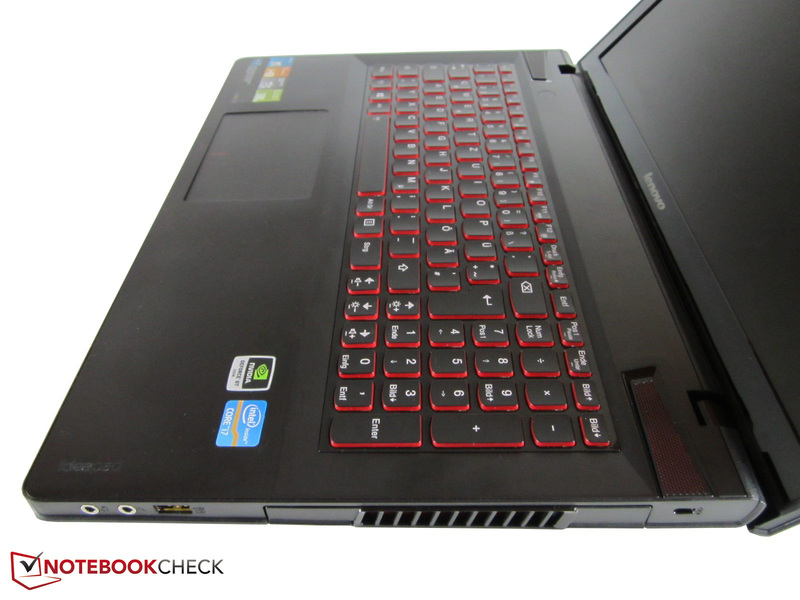 The IdeaPad Y500 falls into the DTR category due to two graphics cards. 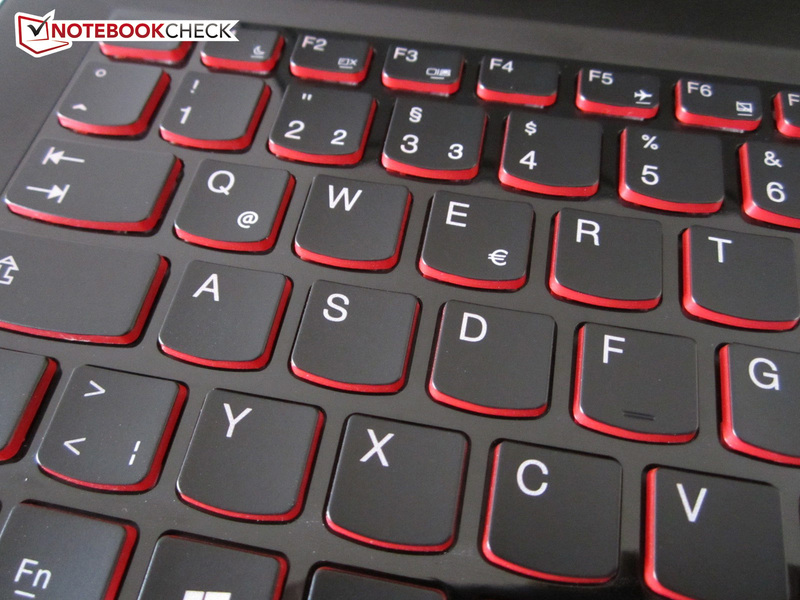 The keyboard's backlight features two levels and can be turned off. 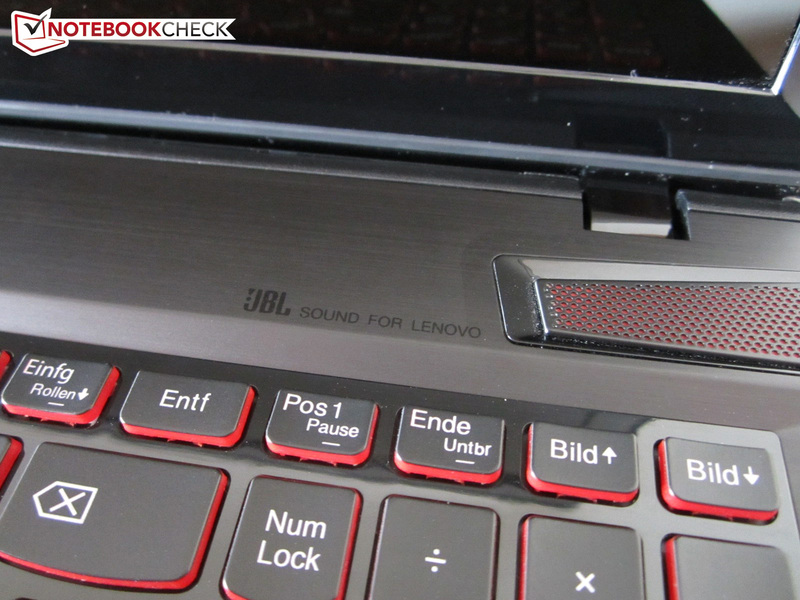 No wonder: JBL had already provided good sound in Dell's XPS 15. The sound is astonishingly good for laptop conditions. The display bezel proves to be extremely sensitive. We've lost count on how many times we've reproached this, dear manufacturers. 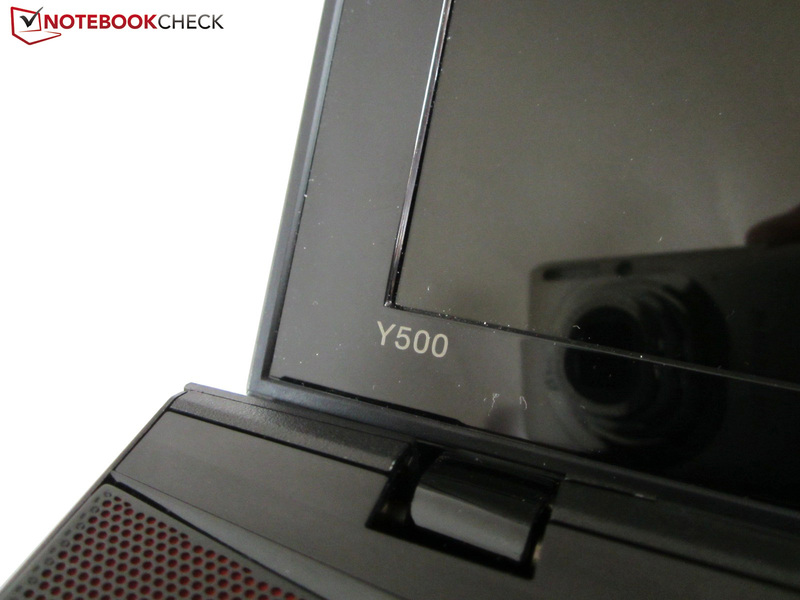 The Y500's HD webcam is not really a surprise. Even inexperienced users can remove the second GPU. 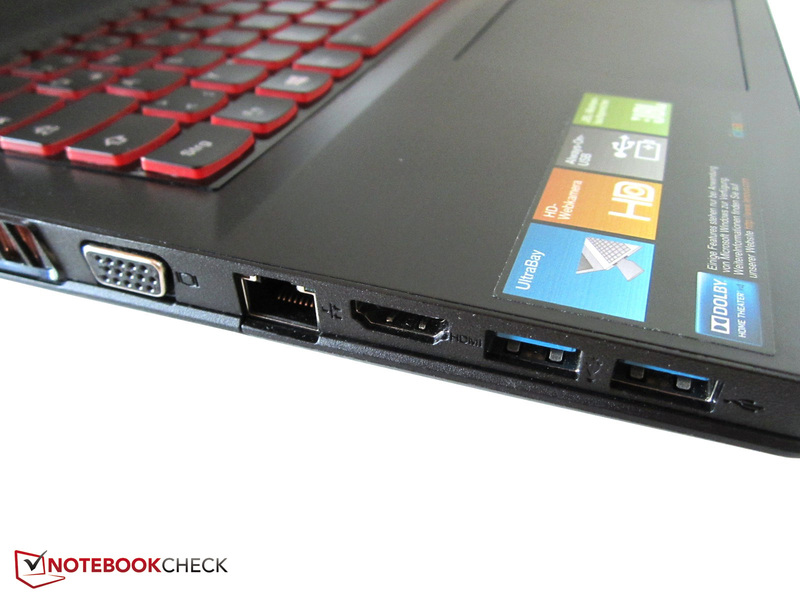 Lenovo has designed a clever opening mechanism. The battery life is only average due to the lack of graphics switching. The keys' curve immediately reveals the manufacturer. 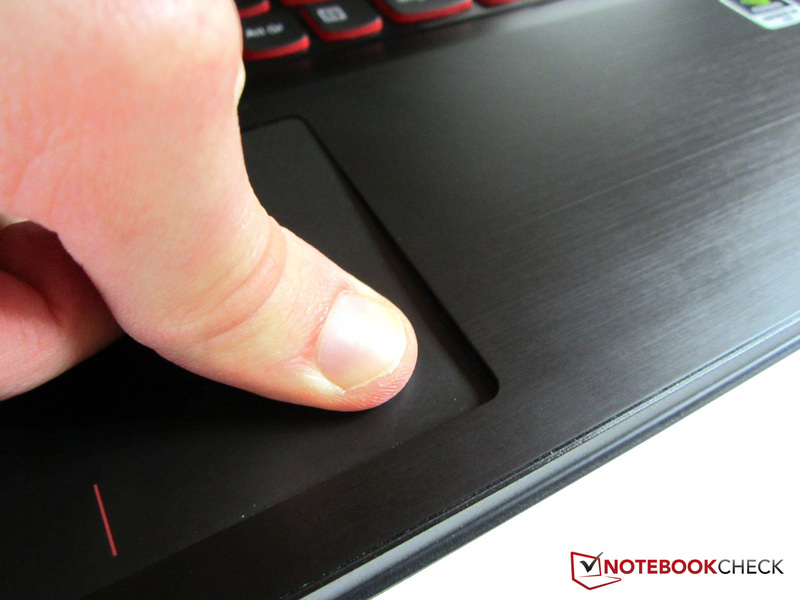 The position of volume and brightness control corresponds to MSI laptops. FireWire, eSATA, and DisplayPort are not installed. The laptop's power socket is on the left. Hot air is blown out toward the (mouse) hand during games. One USB 2.0 and two audio jacks are on the right. The integrated card reader on the front supports six formats. 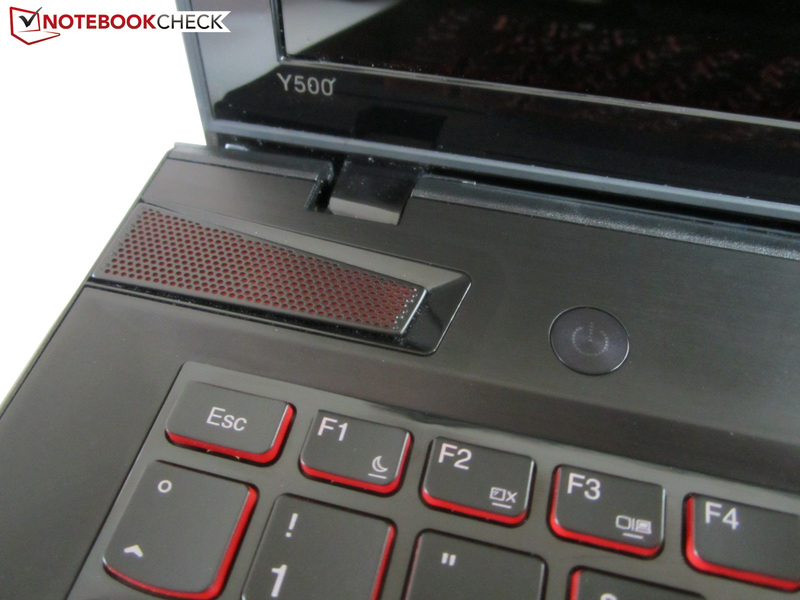 The UltraBay slot is the Y500's biggest unique selling point. 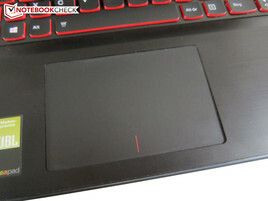 The touchpad is cause for controversy. Quad-core power by Intel, DirectX 11 power by Nvidia. The battery almost takes up the entire rear. 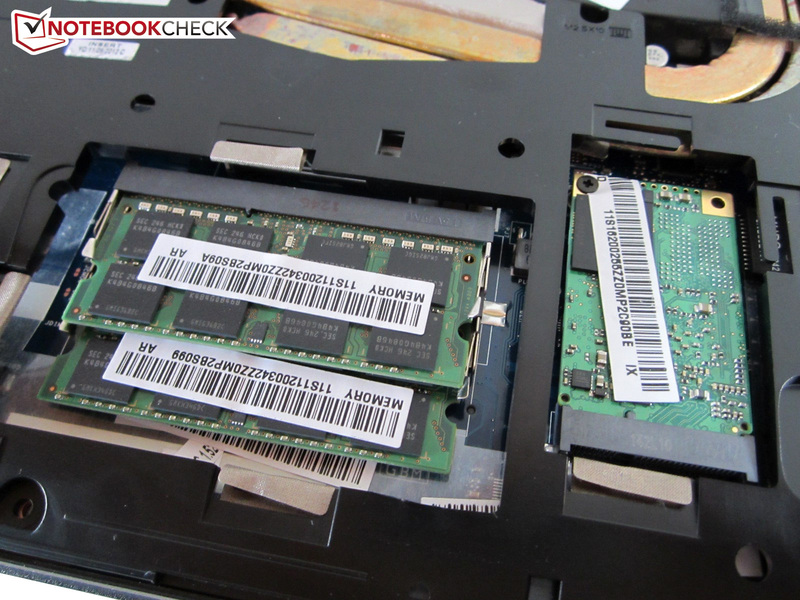 Left: Both DDR3 RAM banks. Right: The small mSATA SSD. Compared with MSI, the design is not as flashy. The SLI device weighs just less than three kilograms. The maximum opening angle is approx. 130°. The 15 incher is not particularly high despite dual GPU option. Greasy fingers soon leave unsightly marks. The keys' red rim is doubtlessly an eye-catcher. The black lid proves to be rather plain. 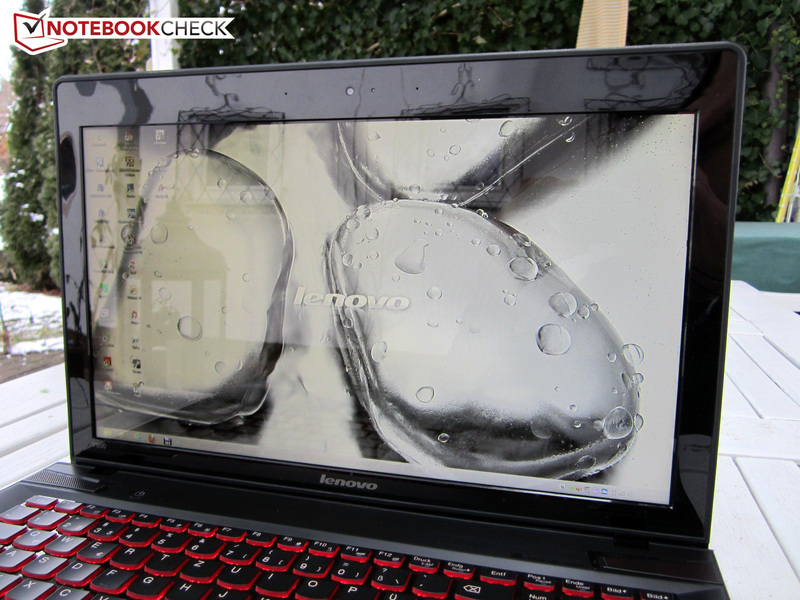 Lenovo opted for a glare-type Full HD screen. The manufacturer relies on a mix of plastic and metal. The screen is very reflective depending on the surroundings. 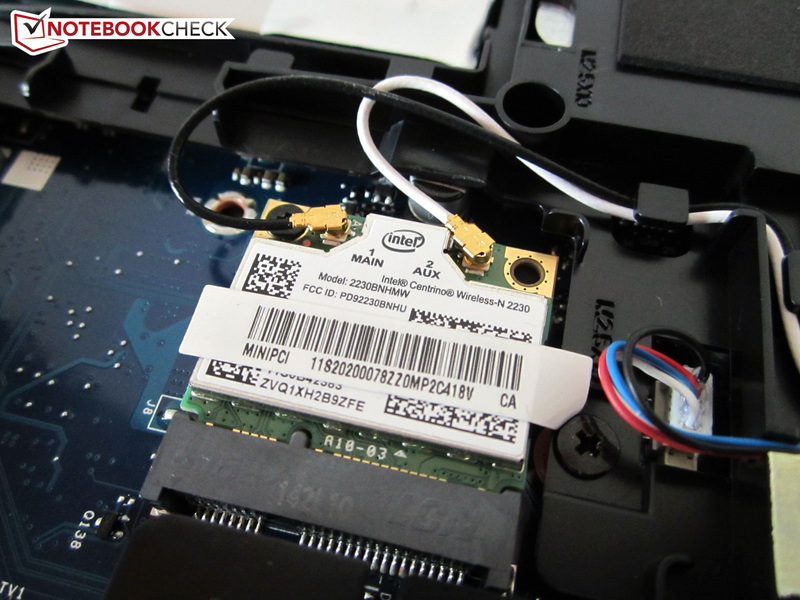 The manufacturer relies on Intel for the Wi-Fi module. The hard disk is underneath a foil. Only a part of the components can be replaced. Fresh air is sucked in over the casing's bottom. Other modules can be inserted in place of the second graphics card. We did not really like the interface positioning. We would call the workmanship decent despite a few minor flaws. The base tray is secured with nine screws. 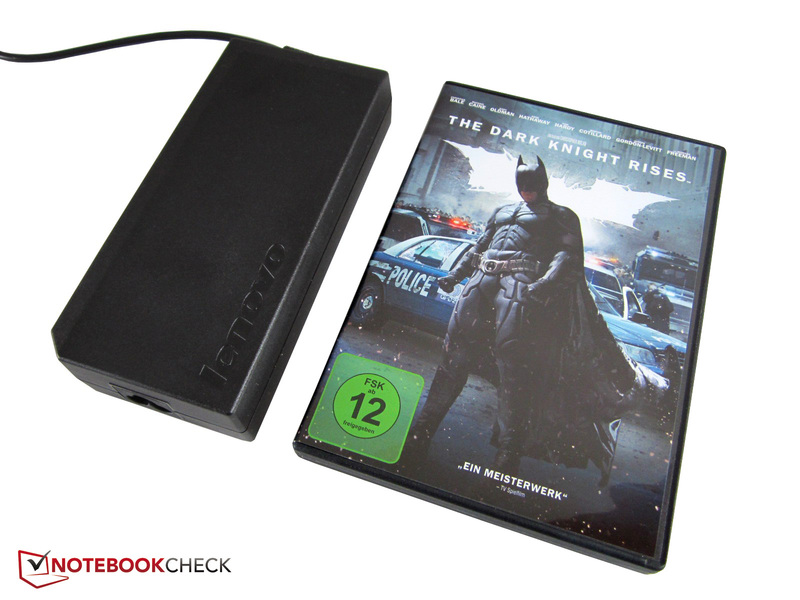 The 675 gram PSU is specified with 170 watts. The UltraBay feature is well-designed. A matte screen surface and a better touchpad. Finally, a feasible sound system again. 15 inch versatile laptops sporting a Kepler GPU. 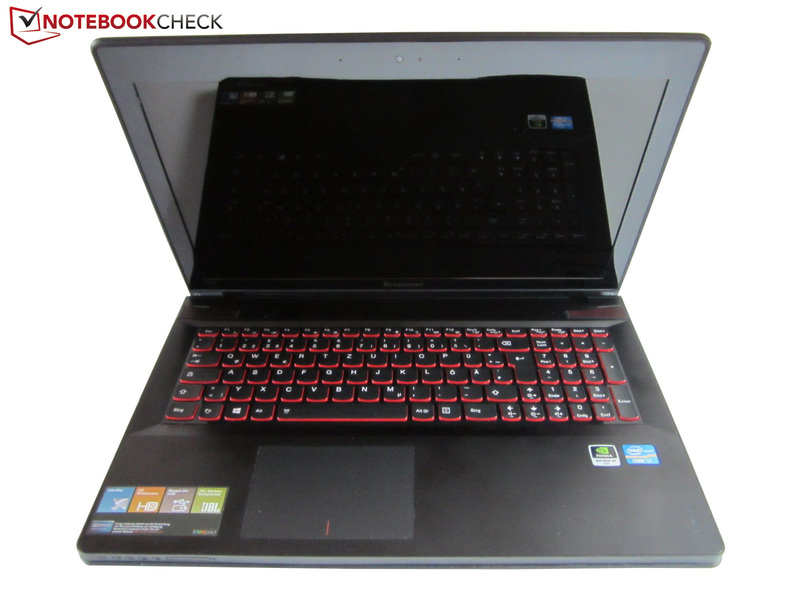 Midrange: Asus N56VZ, DevilTech Fire DTX, MSI GE60, Schenker XMG A502. 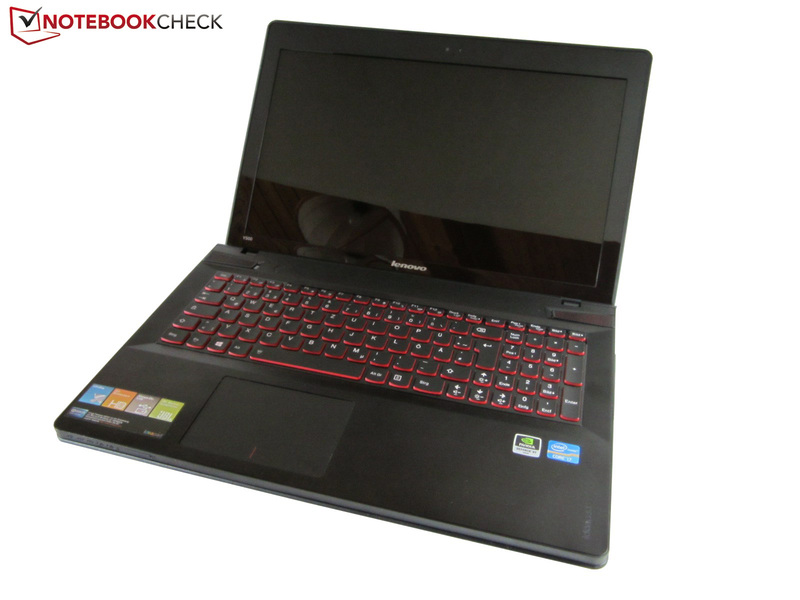 Premium range: Asus G55VW, Gigabyte P2542G, Lenovo IdeaPad Y580, Schenker XMG A522.